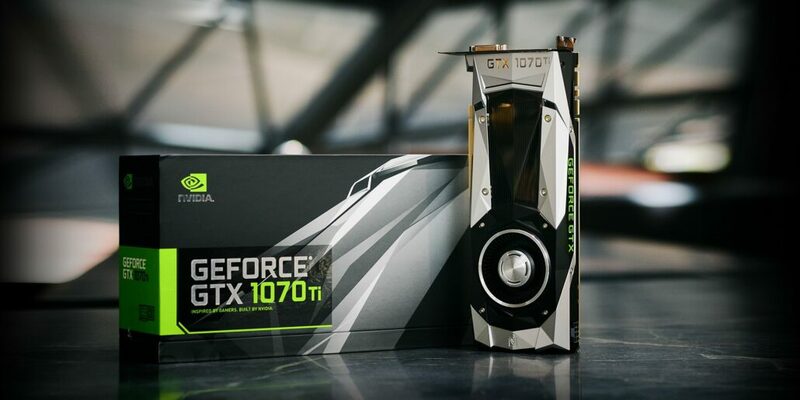 NVIDIA’s GeForce GTX 1070 Ti was officially announced yesterday so today, we will be looking at all the different models that the card will be launching in. 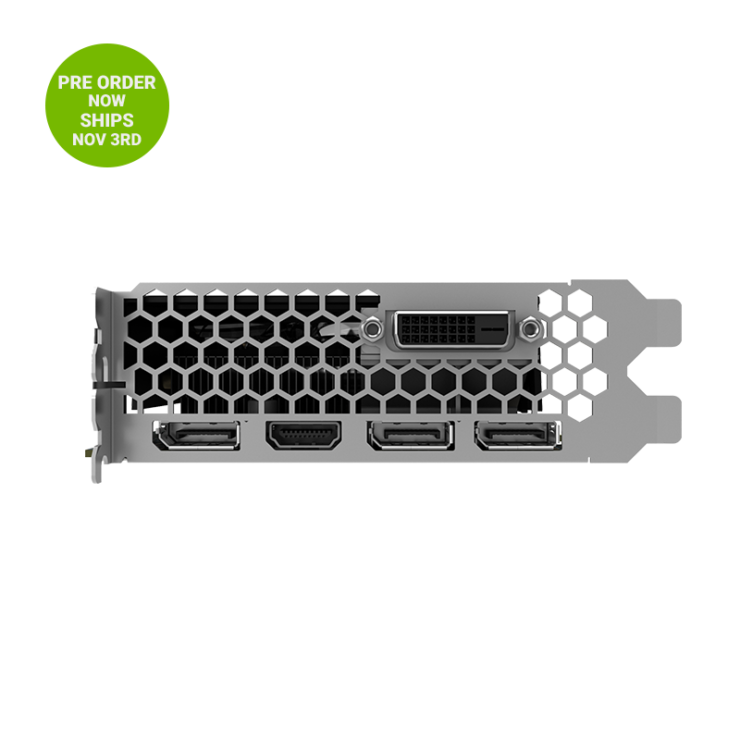 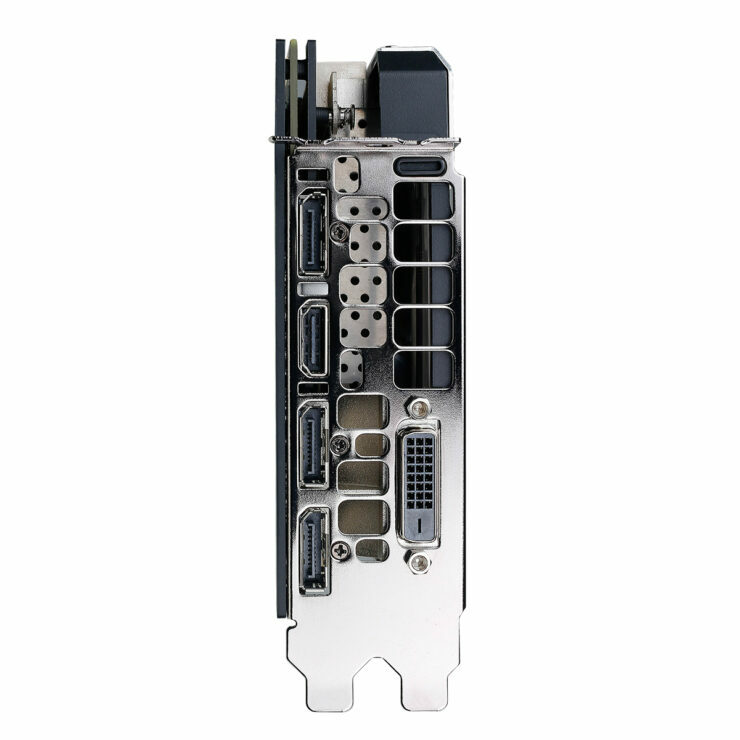 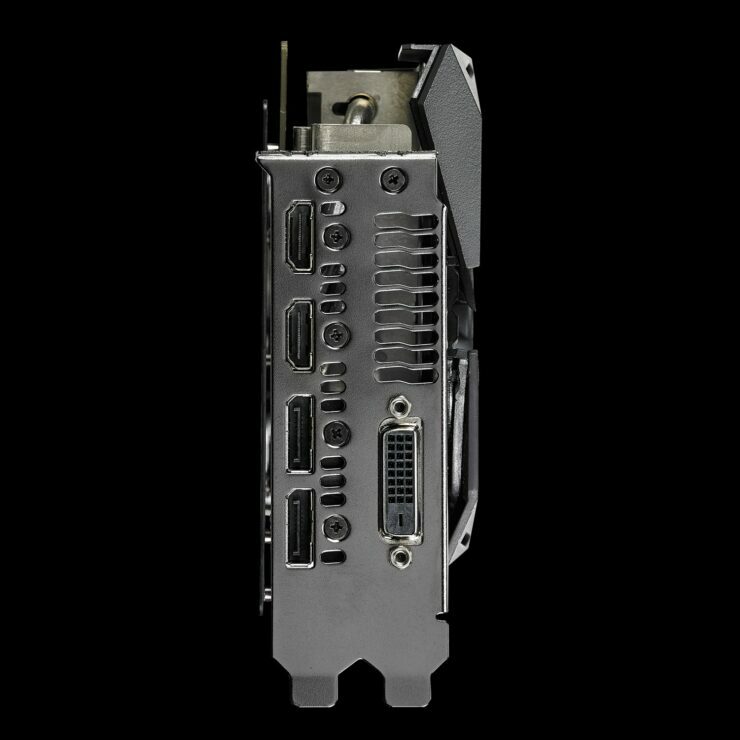 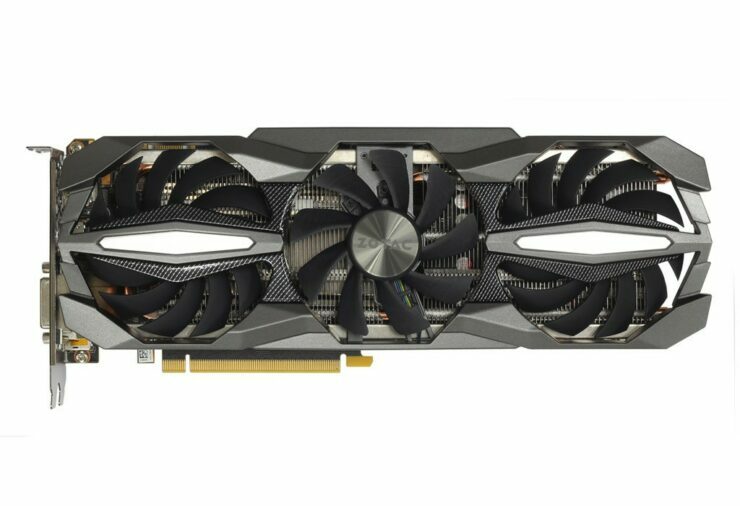 The models come from various NVIDIA AIBs that will be designing their own custom cooling and boards for the latest GeForce 10 series card. 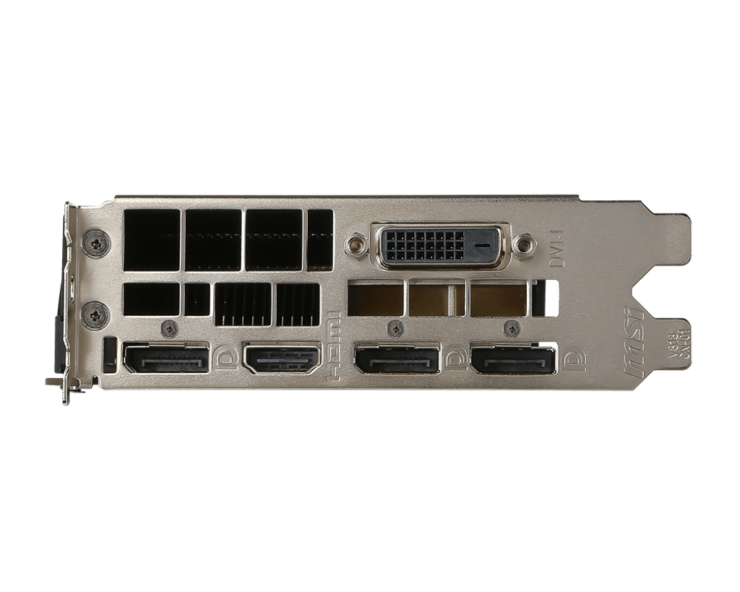 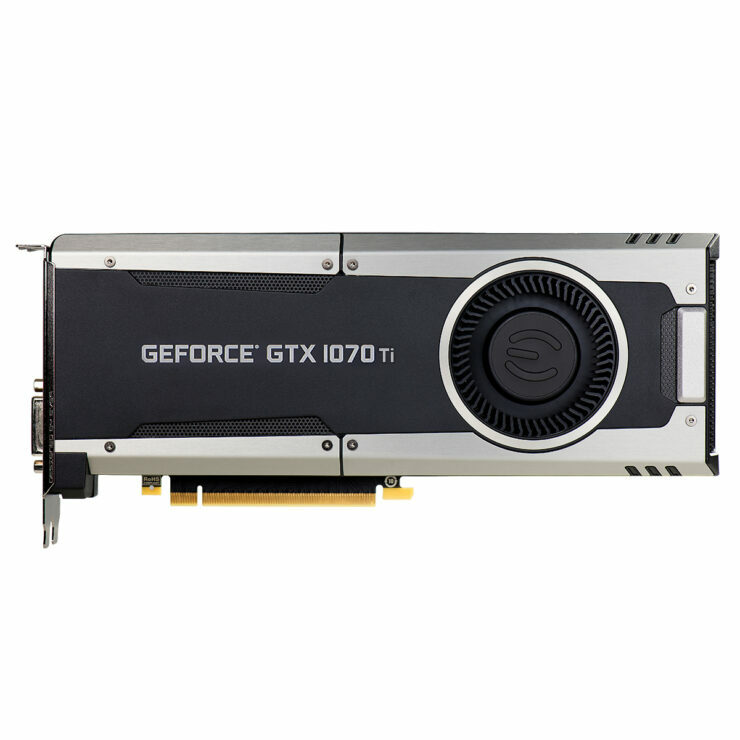 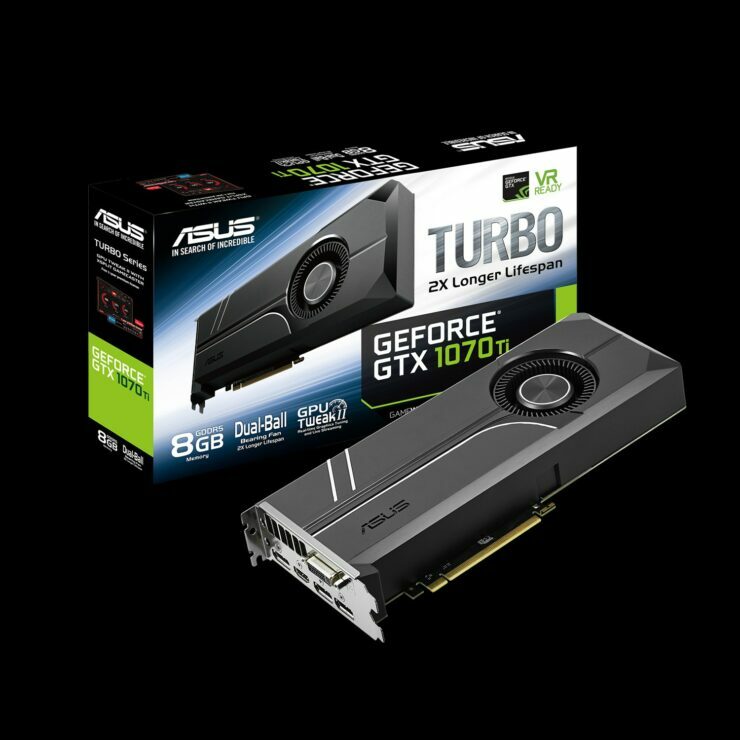 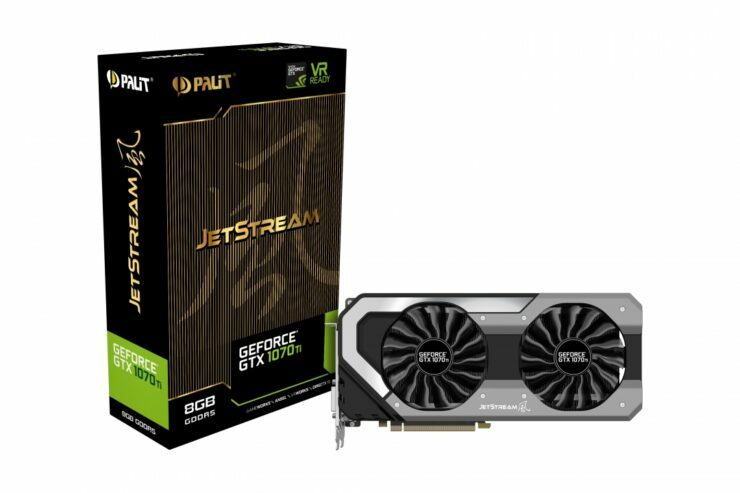 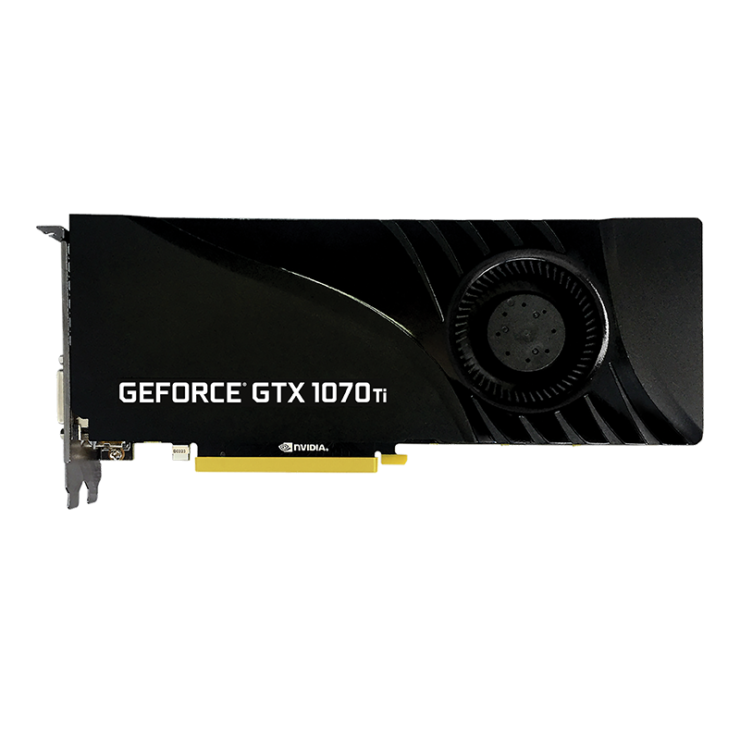 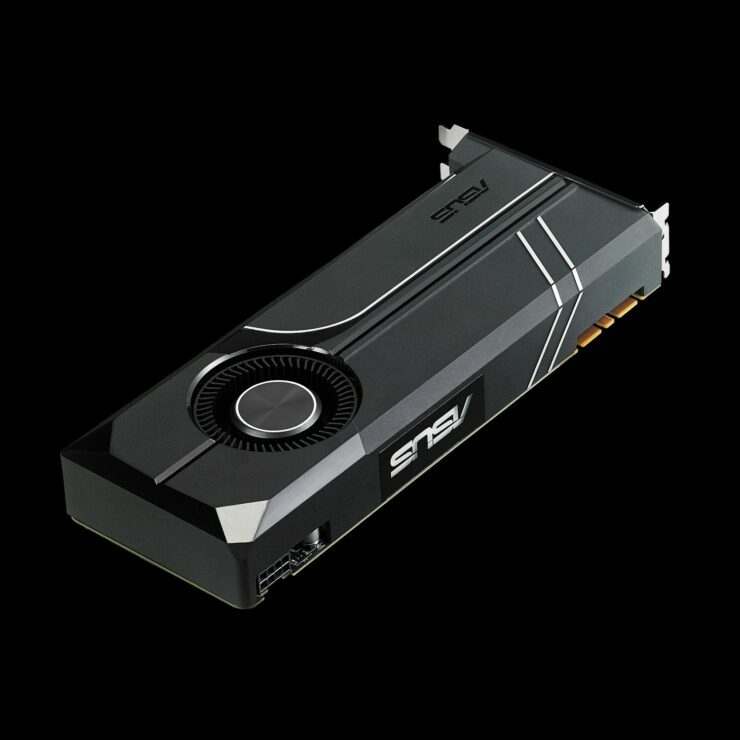 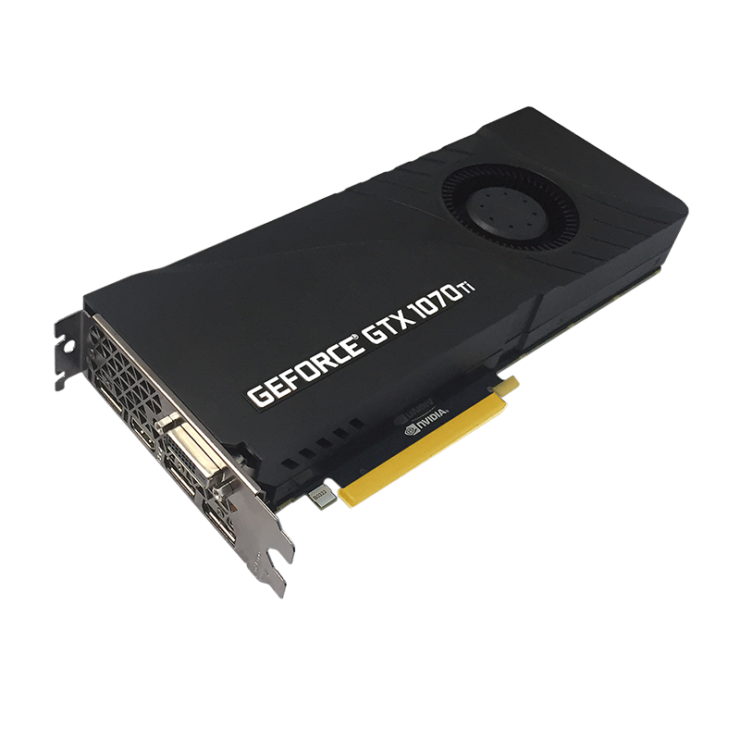 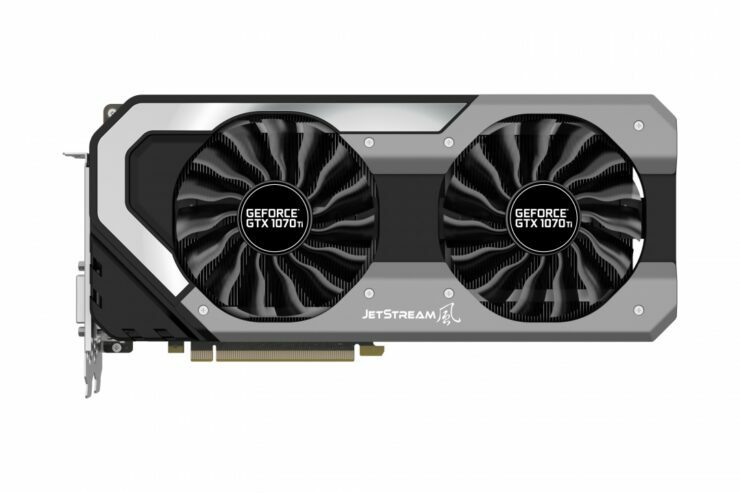 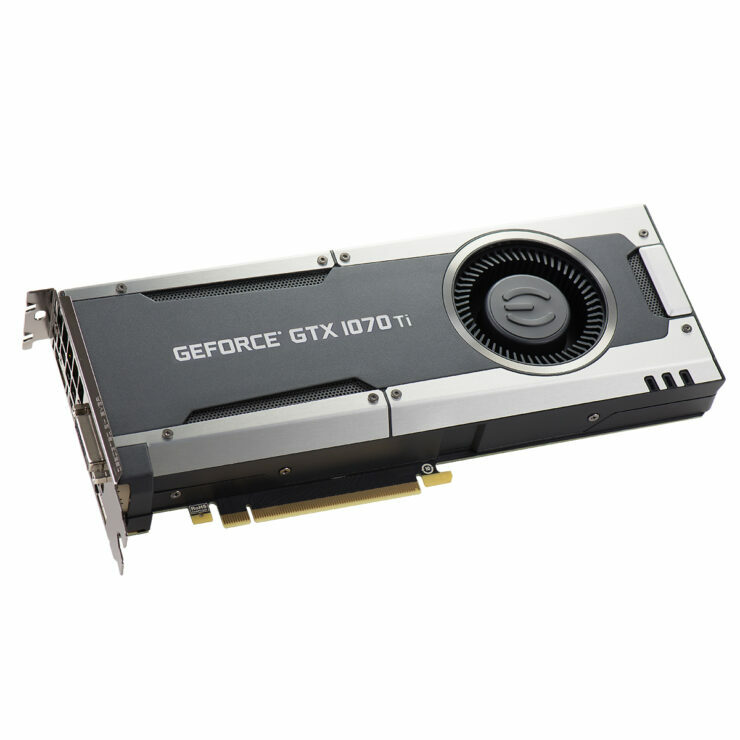 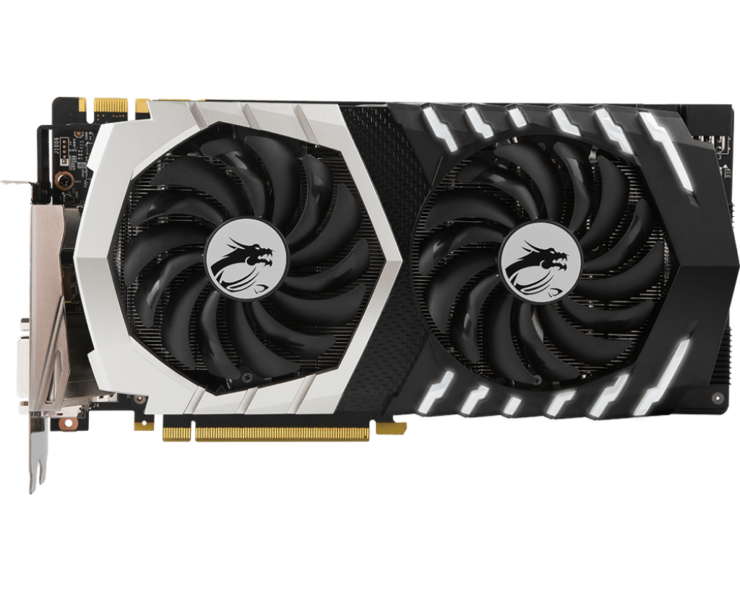 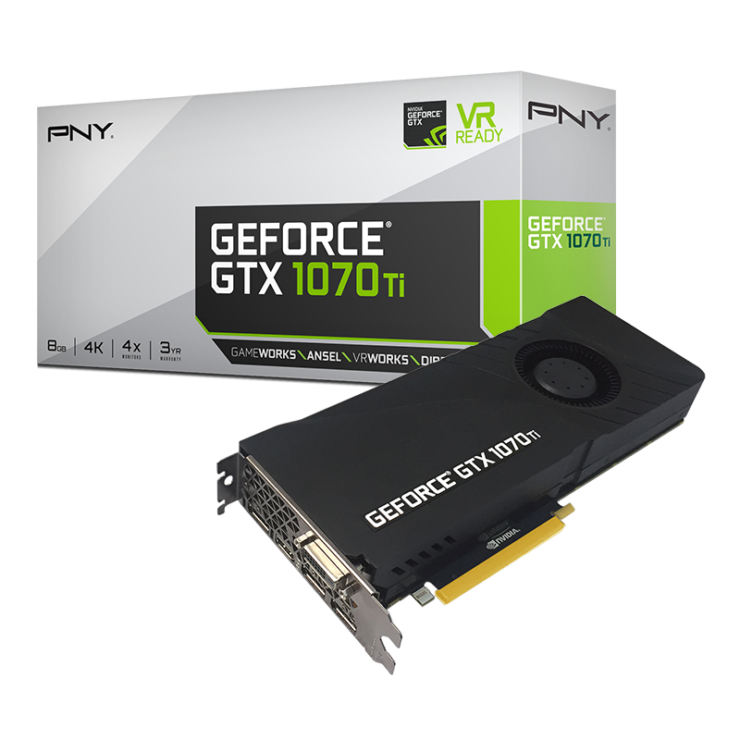 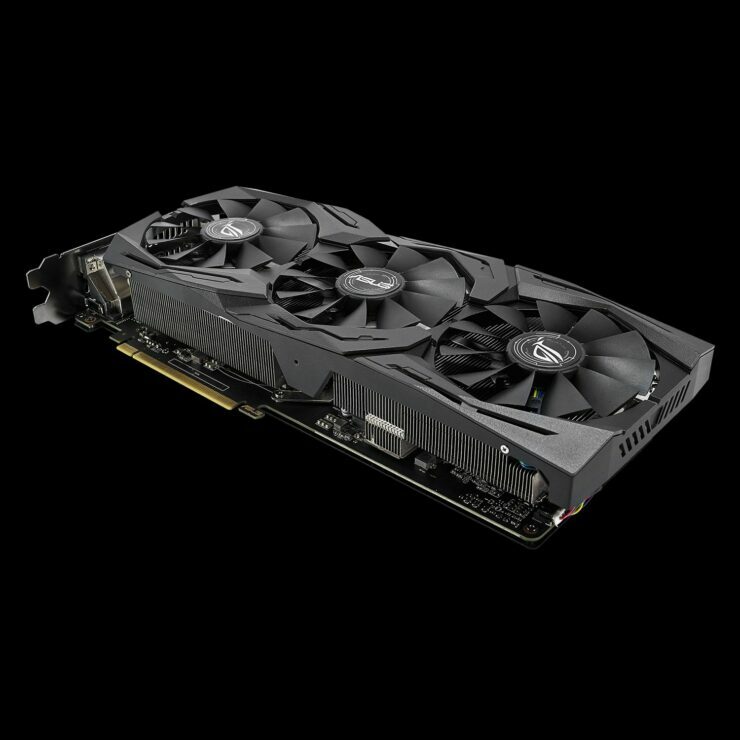 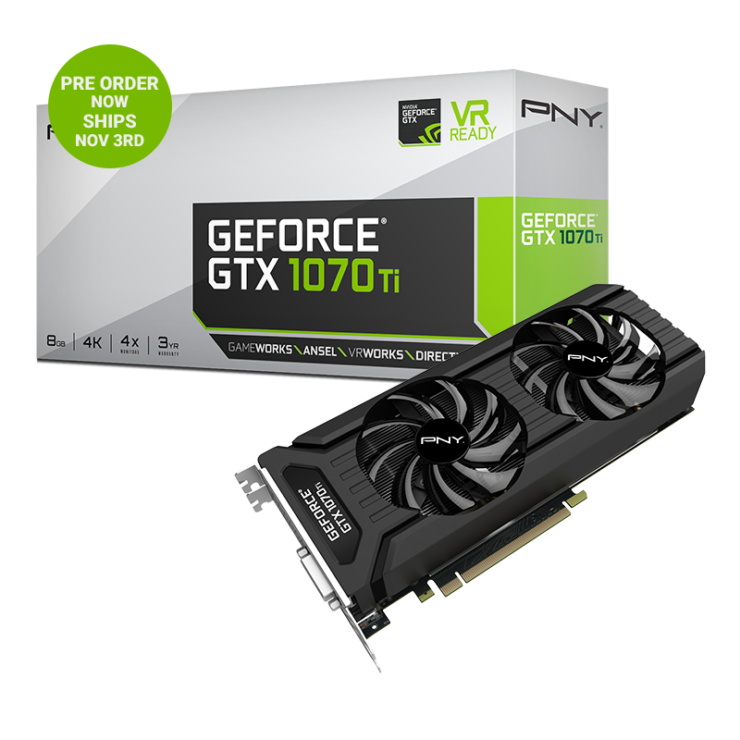 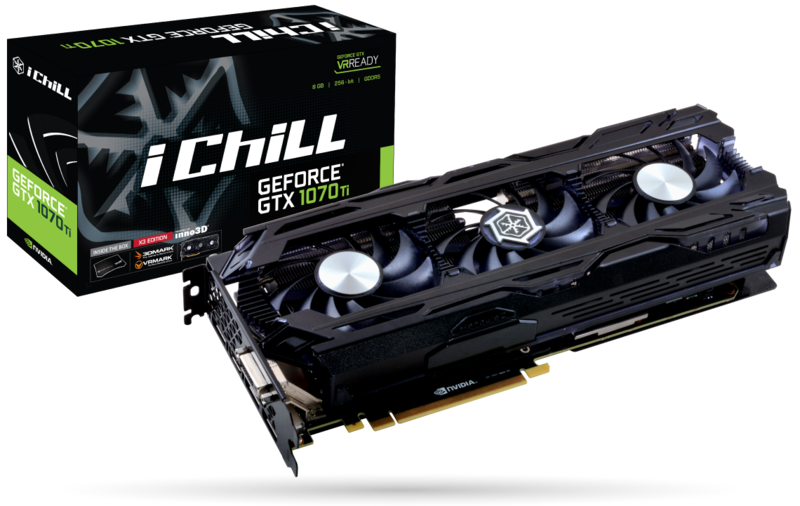 Before we show you the vast array of custom models that the GeForce GTX 1070 Ti would be available in upon launch, there are a few things to mention. 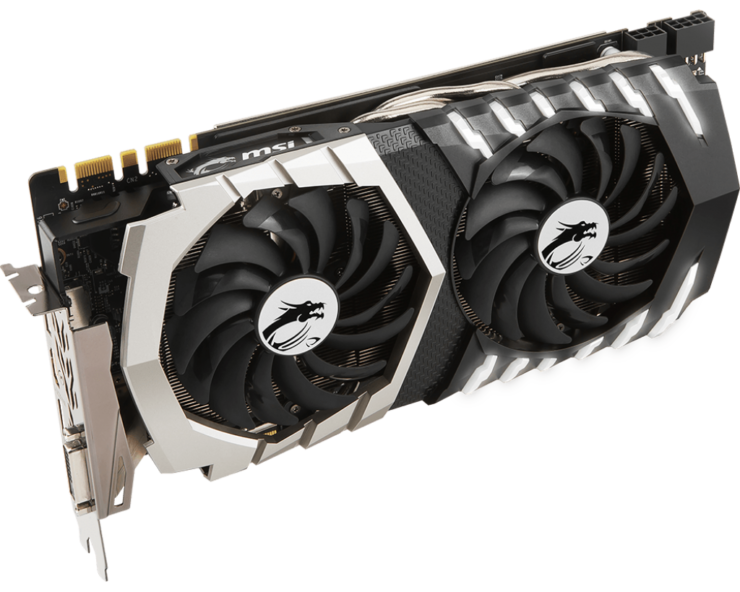 First up, all GeForce GTX 1070 Ti custom cards have one thing in common and that’s the clock speed. 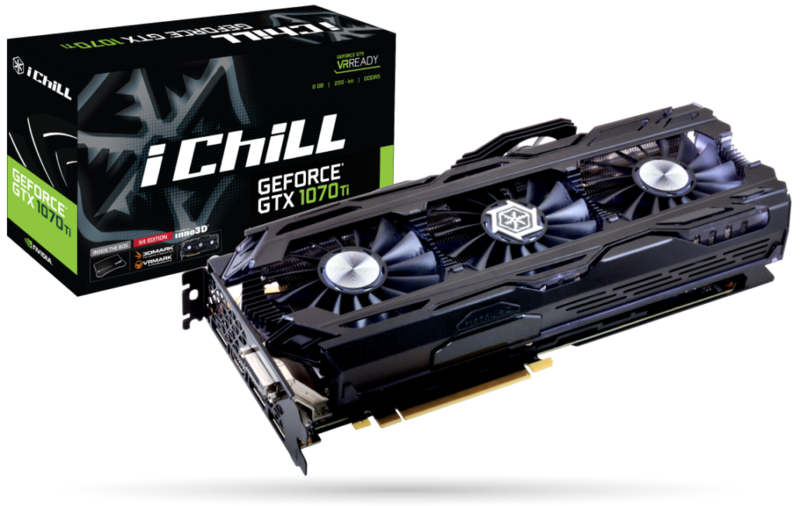 Videocardz did some digging in to find out how AIBs are still offering some support for out of box overclocking. In such case, ASUS has a OC mode listed on their site but that can only be enabled in their GPU Tweak II application through a single click. 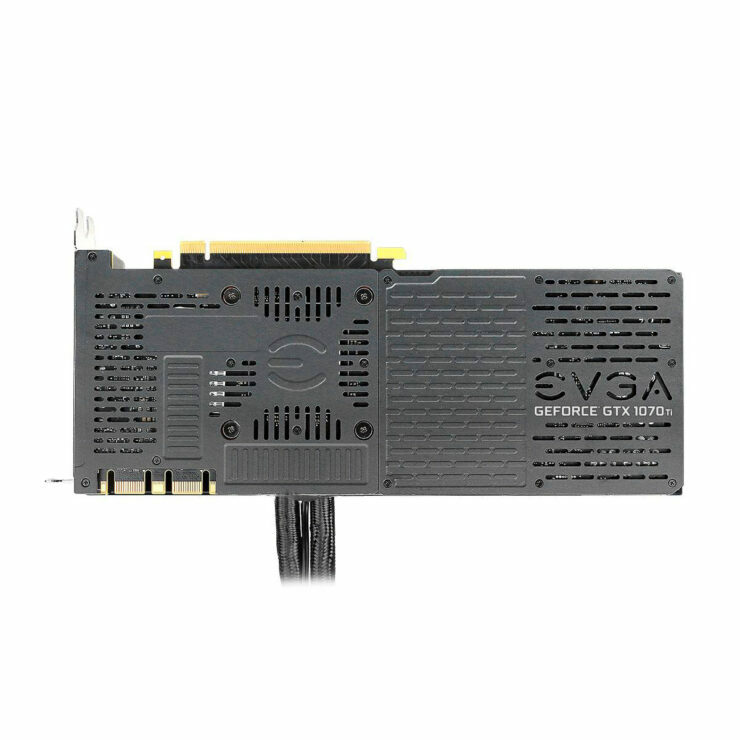 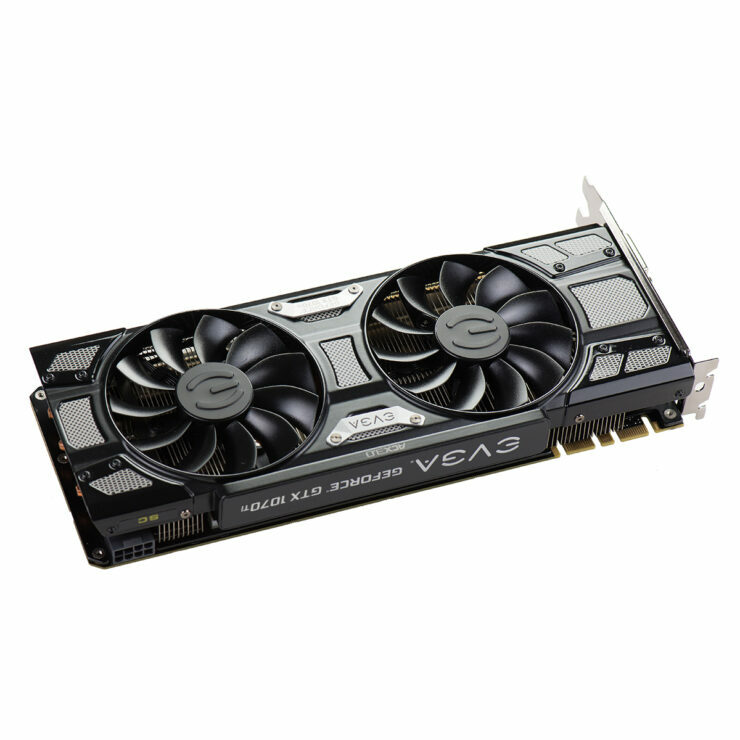 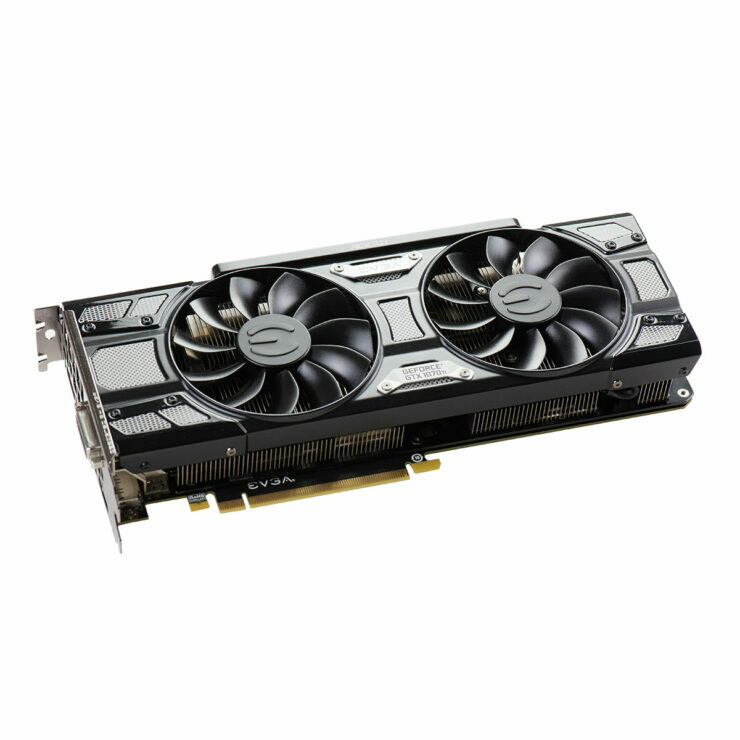 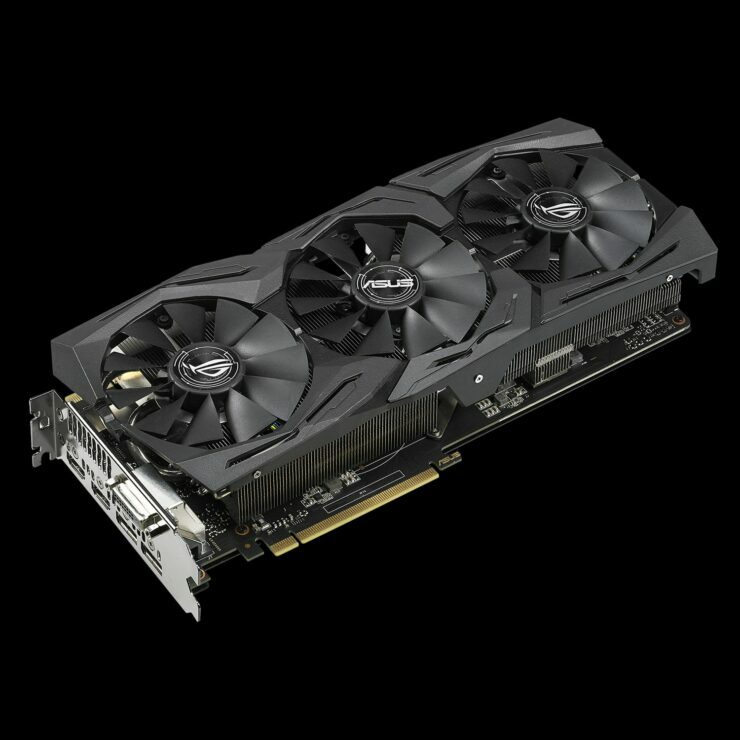 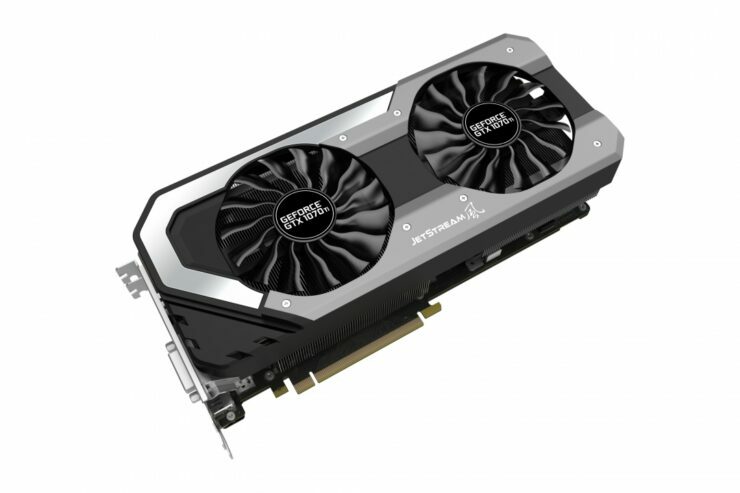 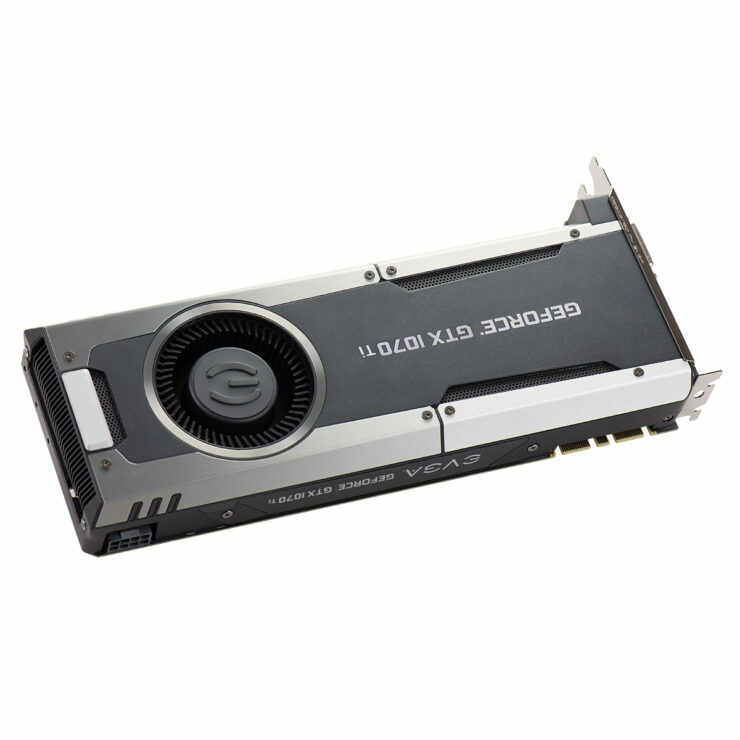 EVGA has mentioned Max Power targets on their GTX 1070 TI specs sheet to let users now which cards offer higher OC support. 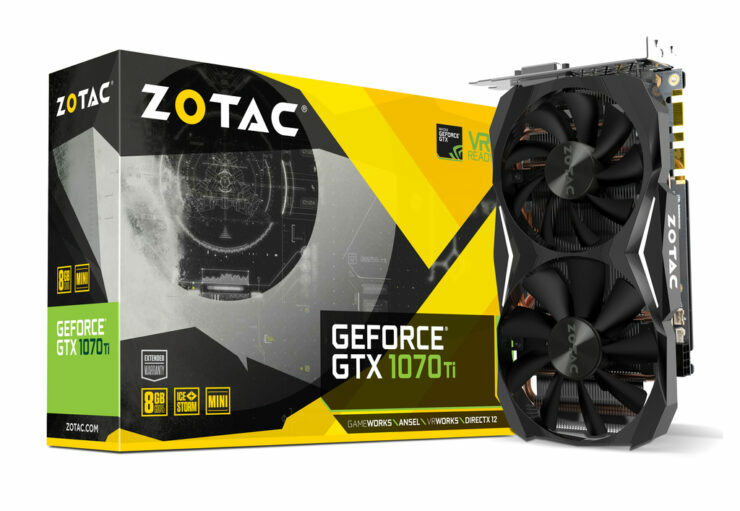 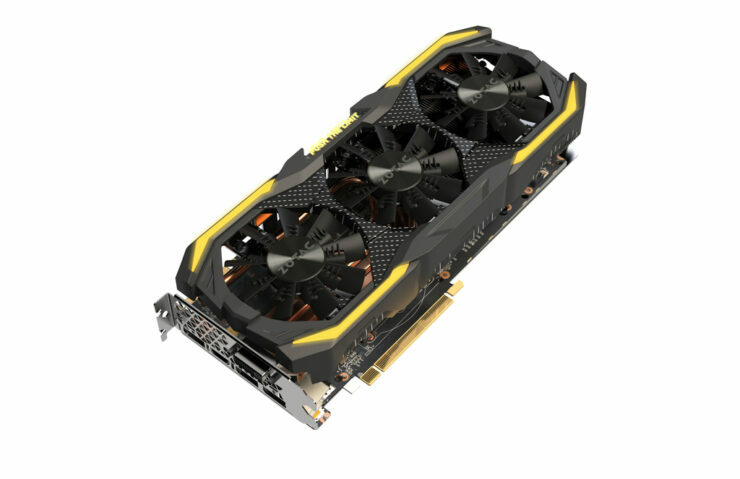 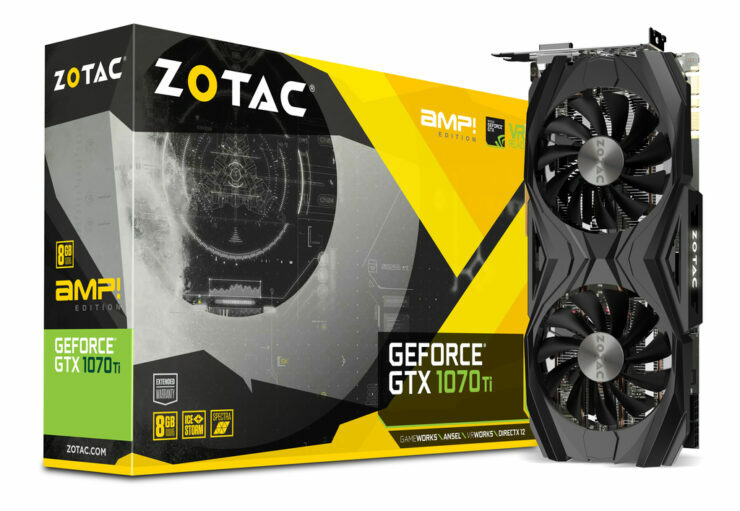 Similarly, Zotac is mentioning their in-house “stable” and test clock speeds on the product pages for both GPU and memory but the user has to set them manually. 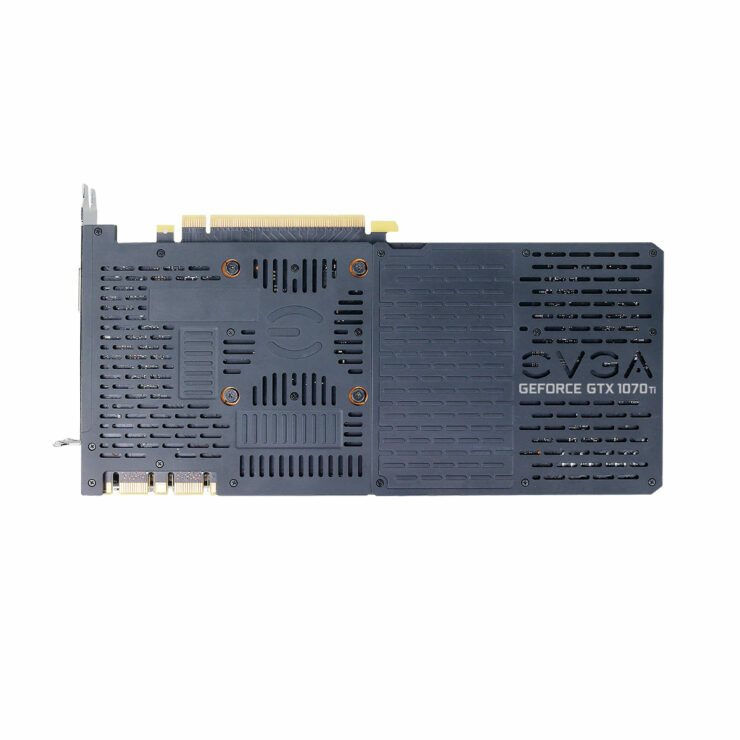 Not as easy as it was before but for this specific card, this is the way to hit those numbers. 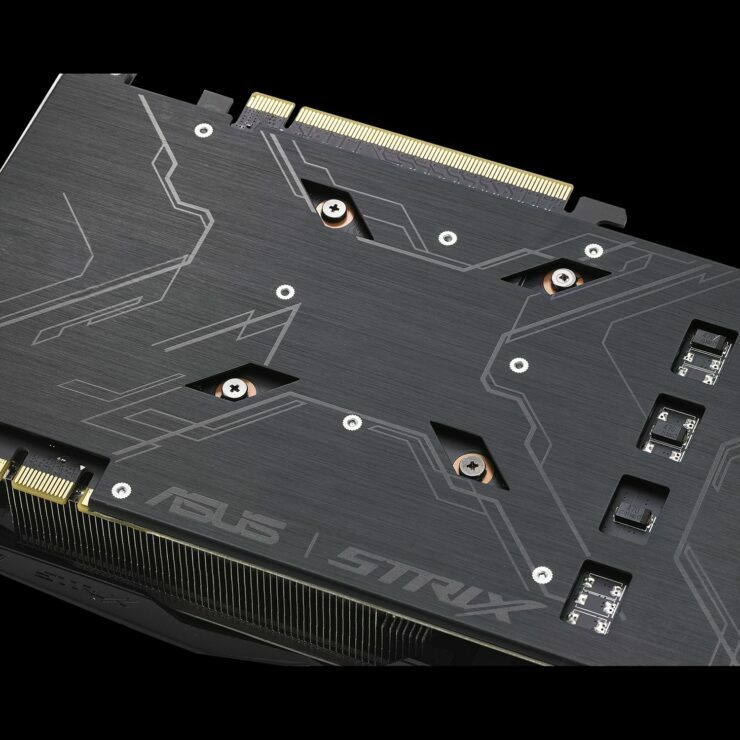 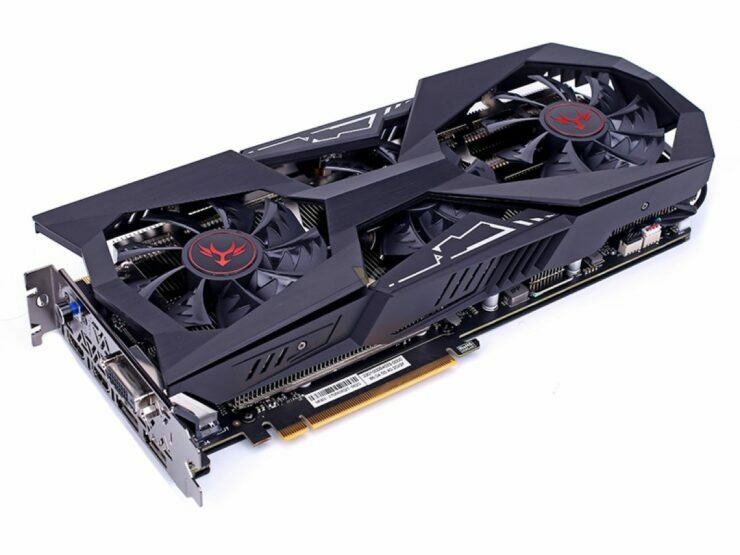 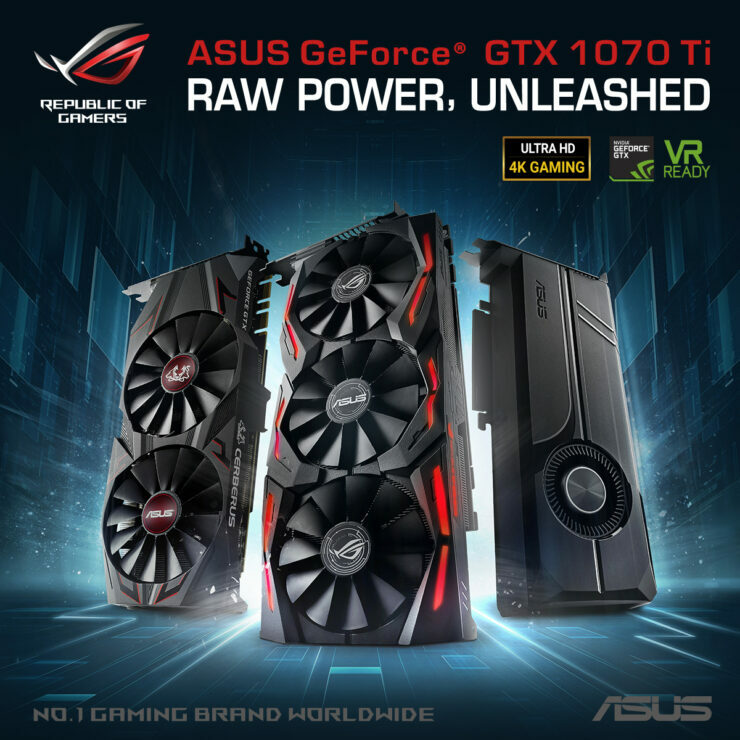 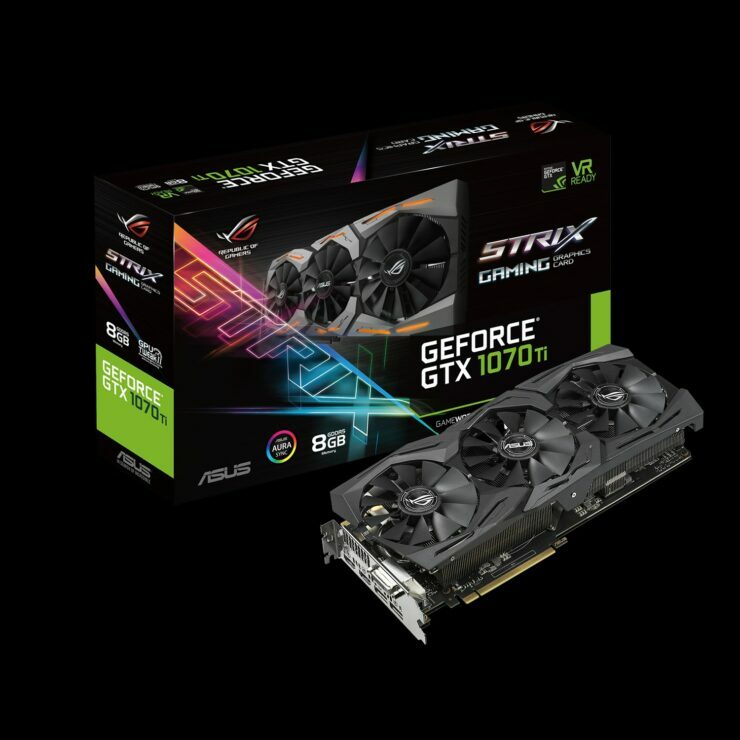 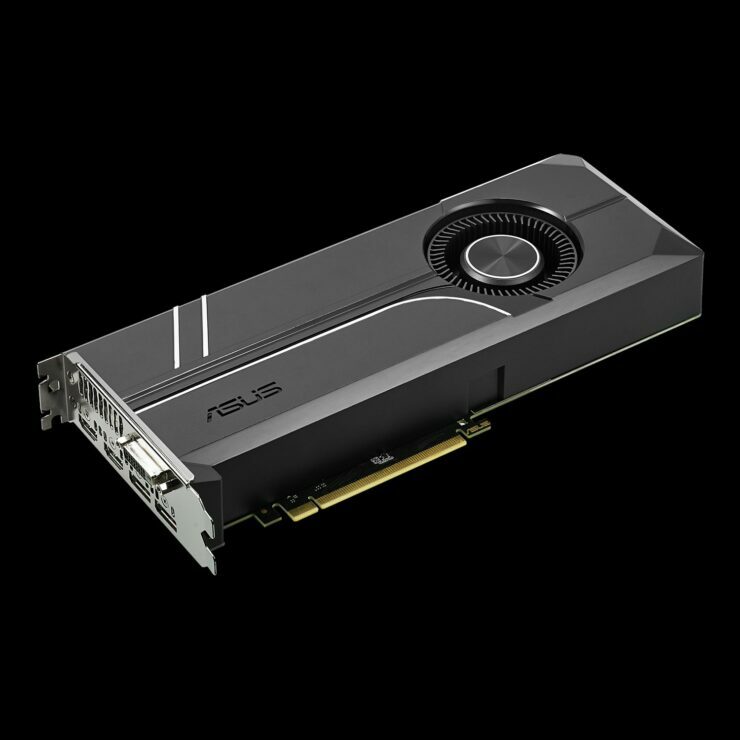 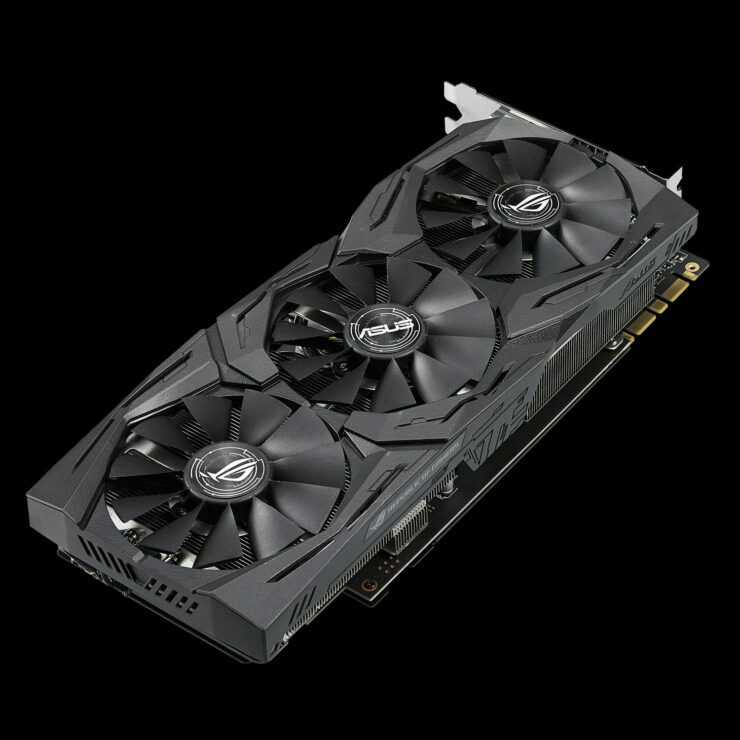 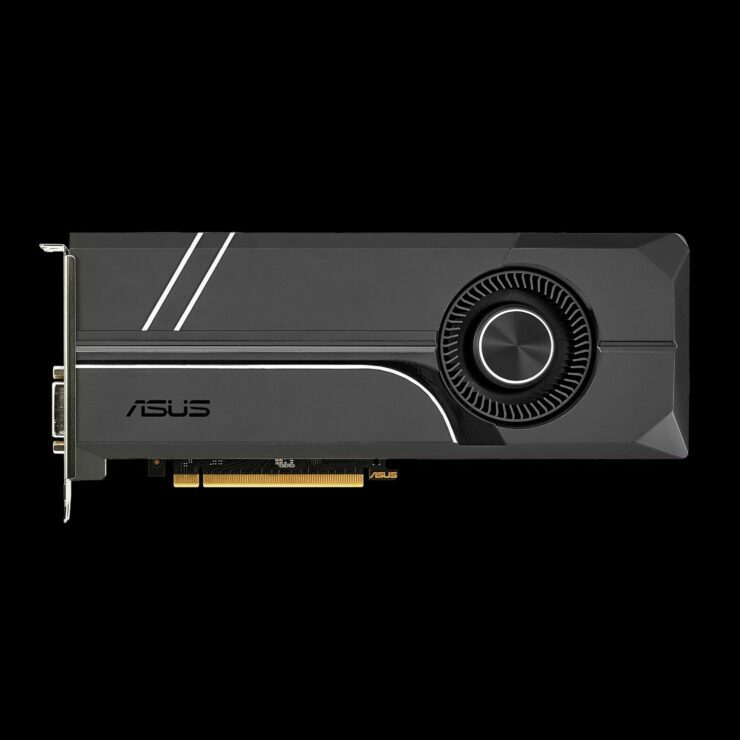 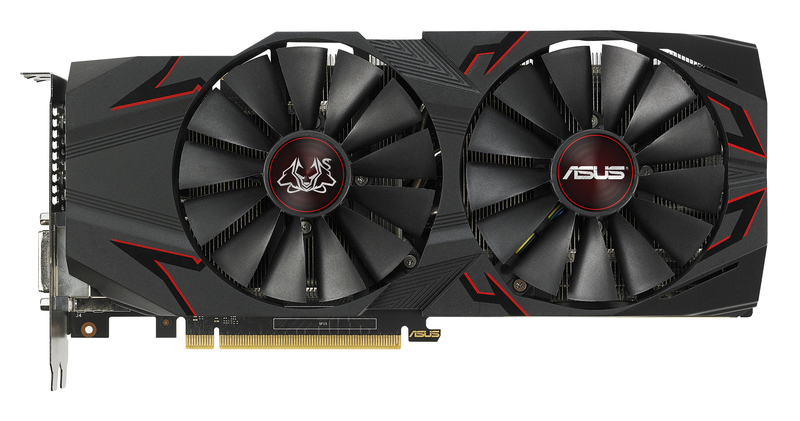 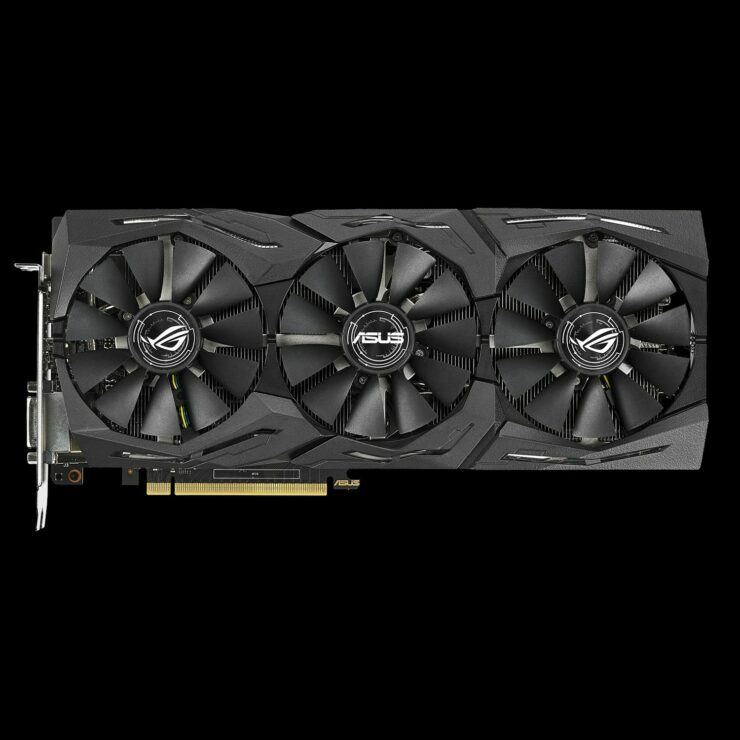 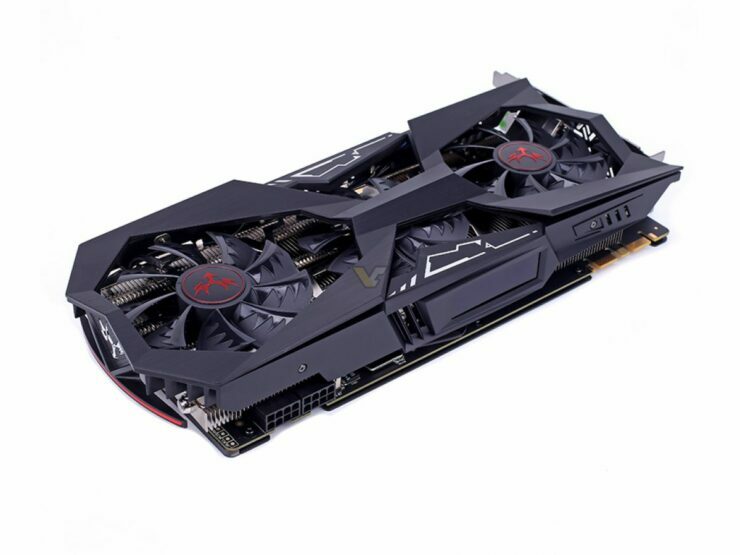 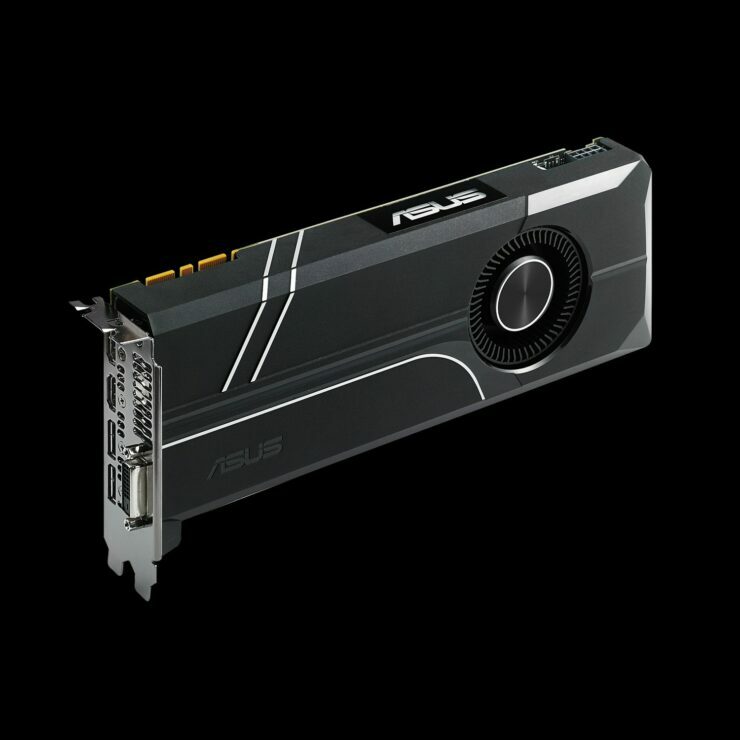 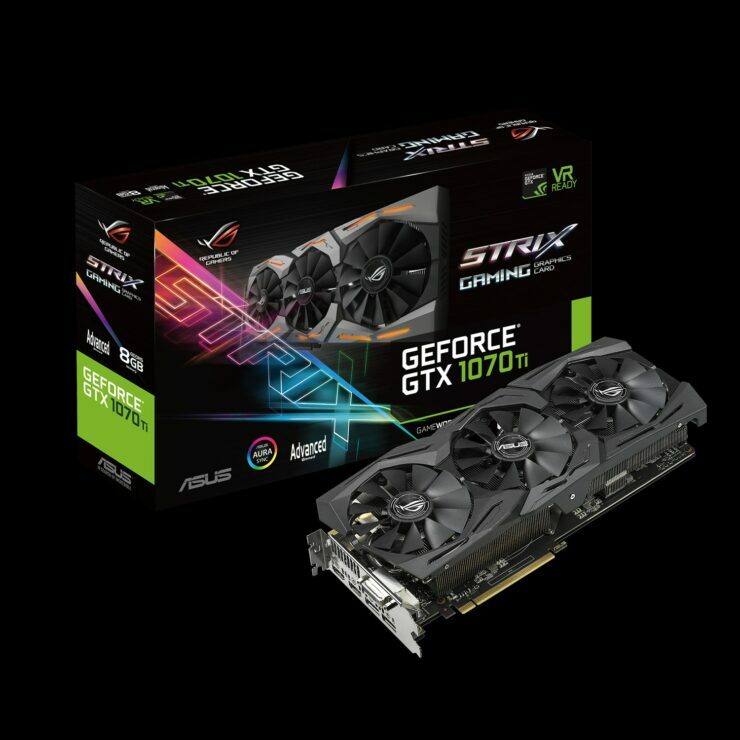 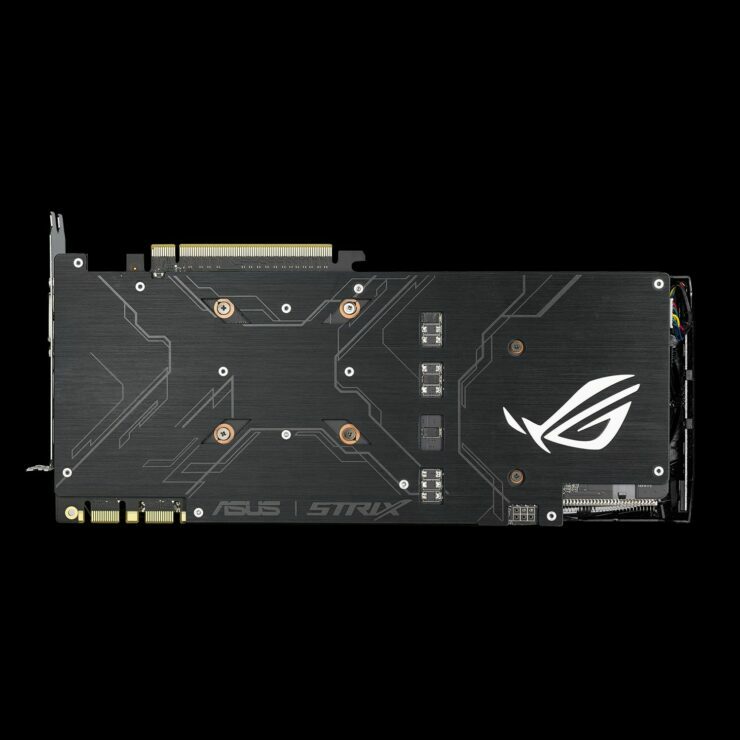 Starting off with ASUS, they are offering five models of the card which include two ROG STRIX (Gaming Advanced and Gaming), two Cerberus (Advanced and Normal) and a single Turbo series graphics card. 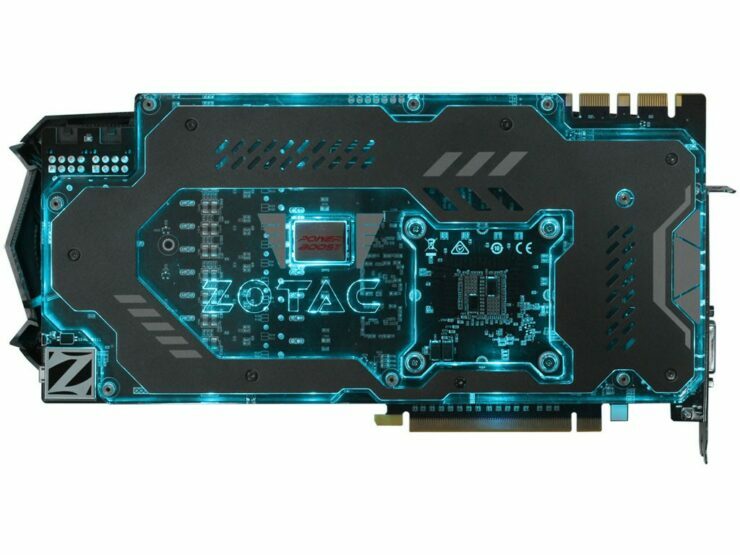 All cards are based on different PCB designs compared to the reference and use a different cooling scheme too. 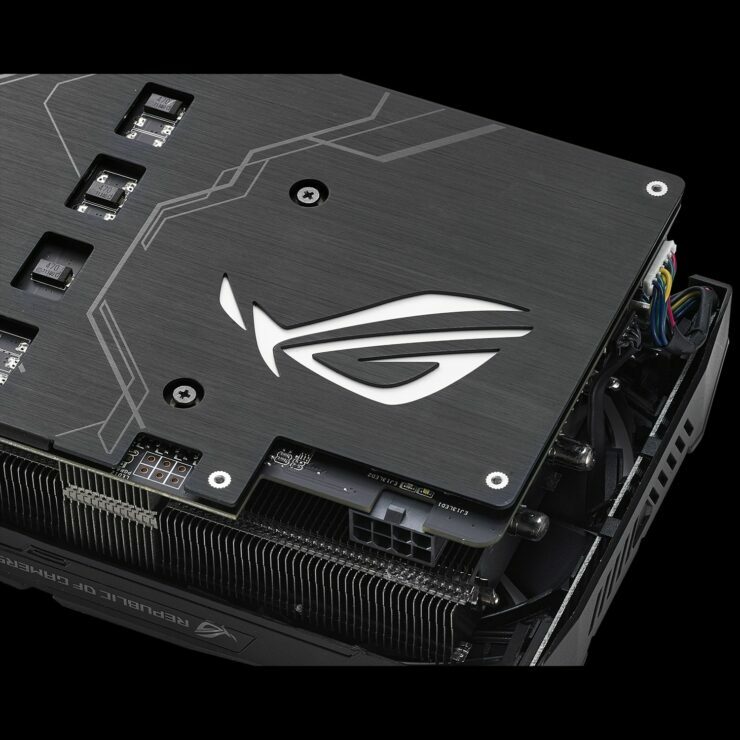 The ROG STRIX variants are fitted with the triple fan DirectCU III, the Turbo variant uses a blower type fan while the Cerberus uses dual fan cooling system. 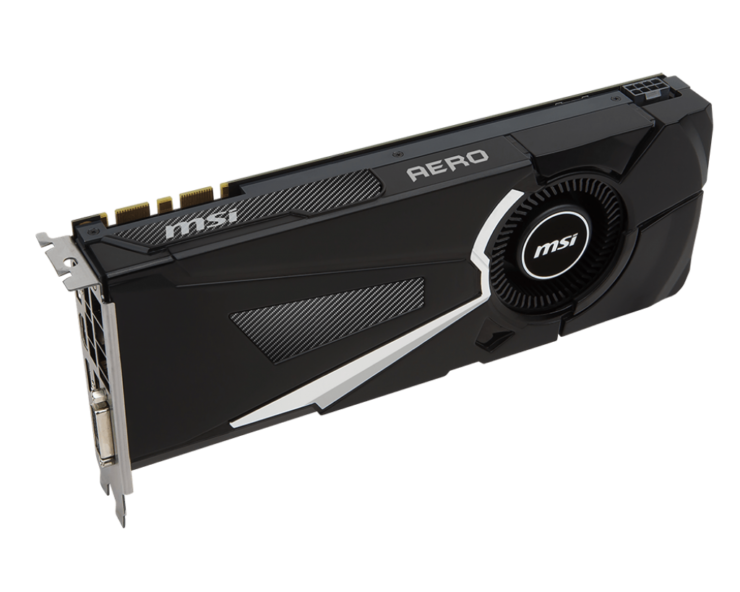 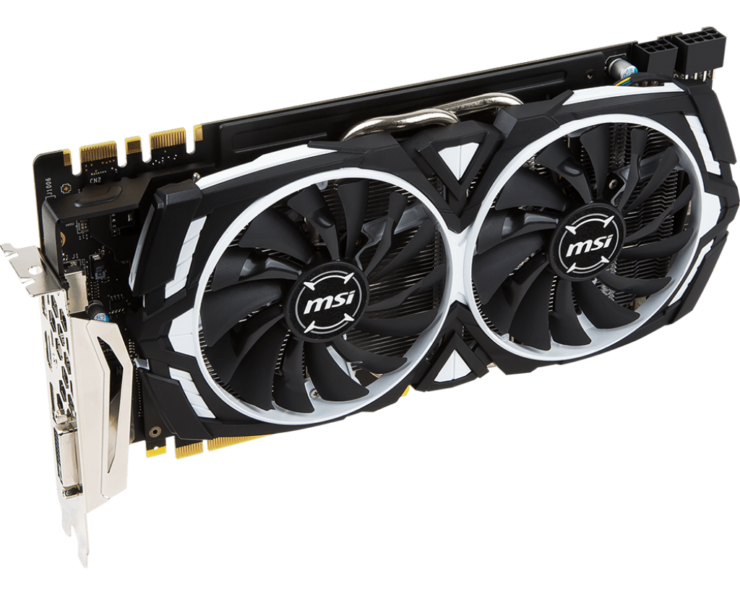 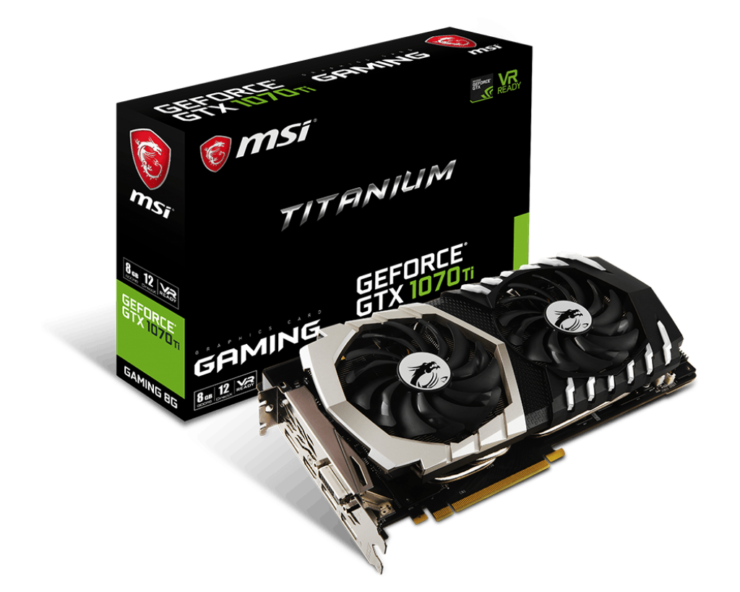 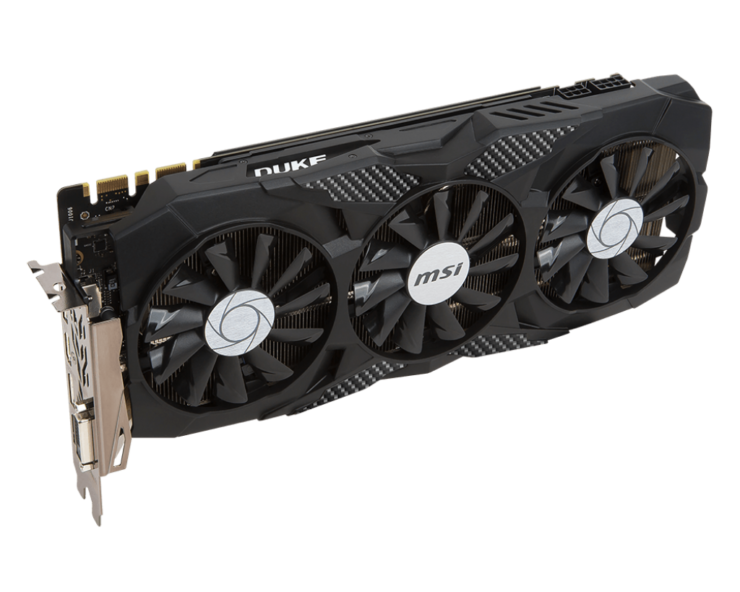 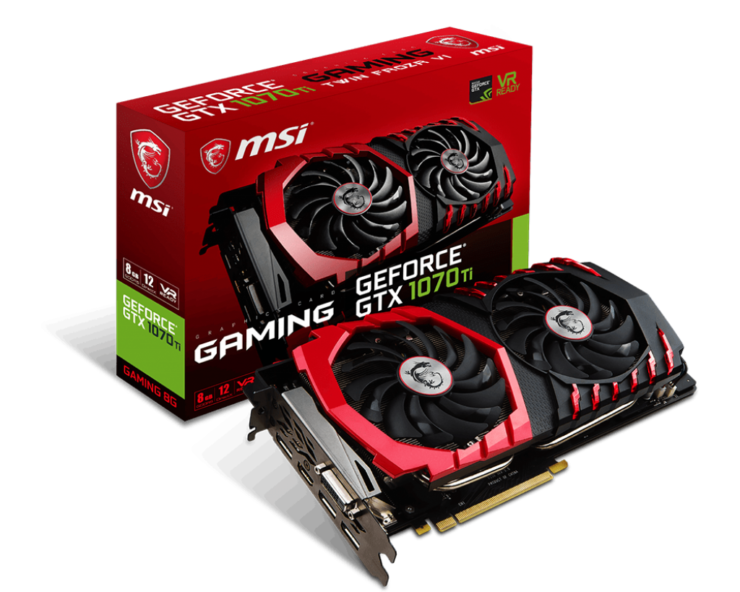 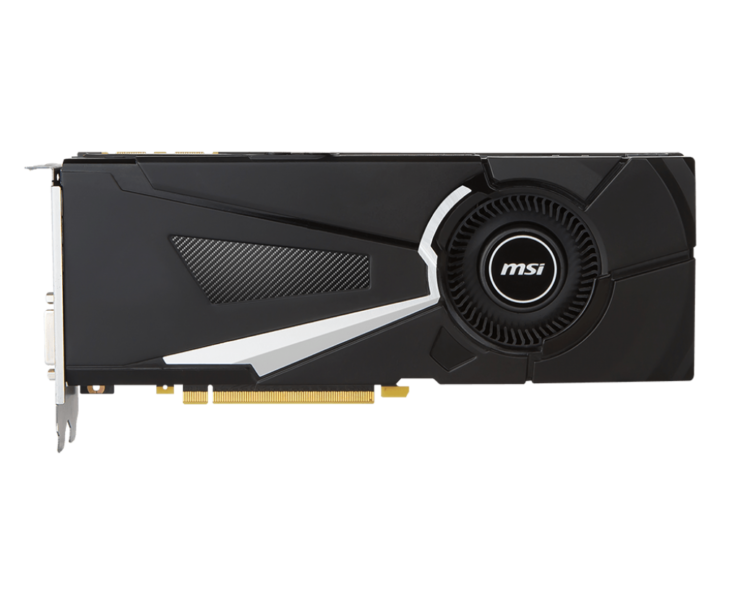 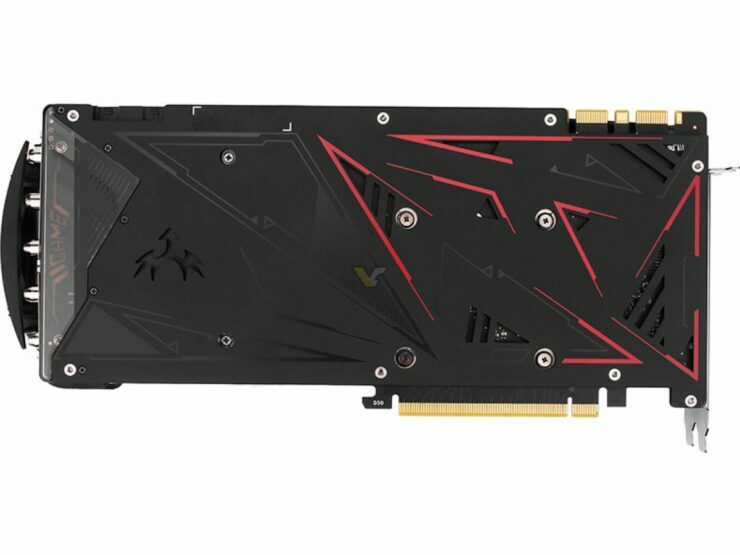 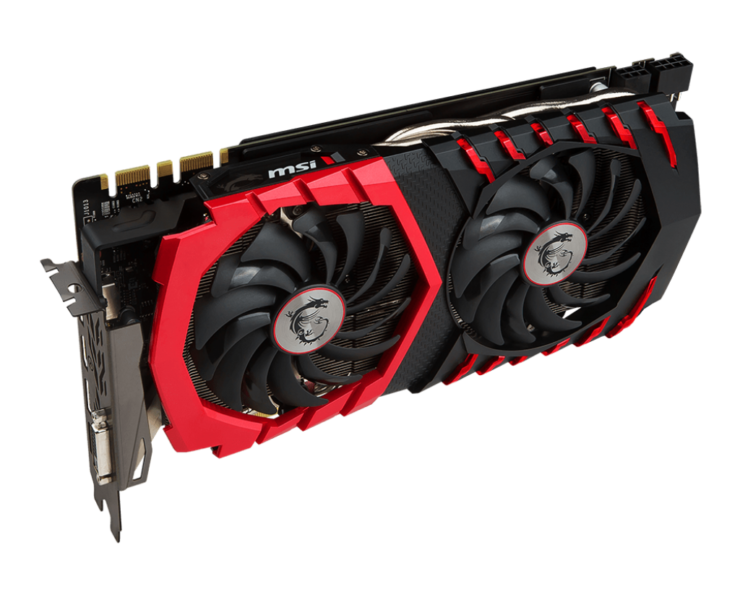 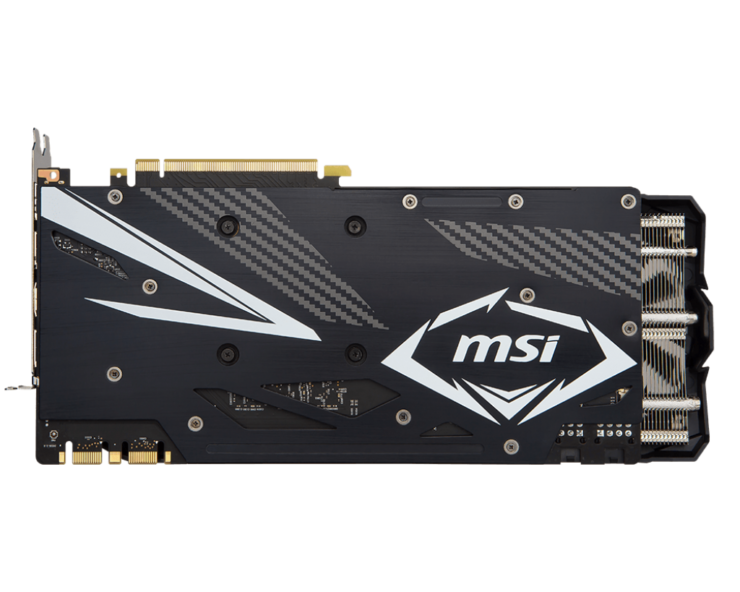 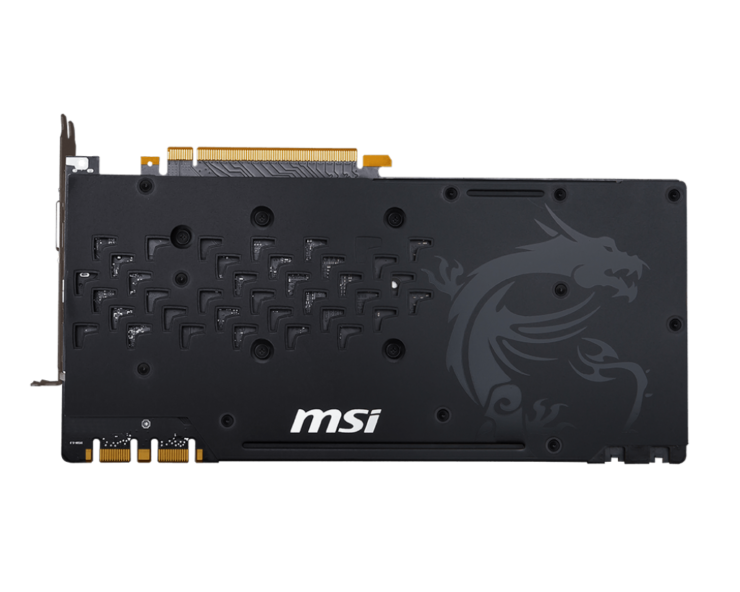 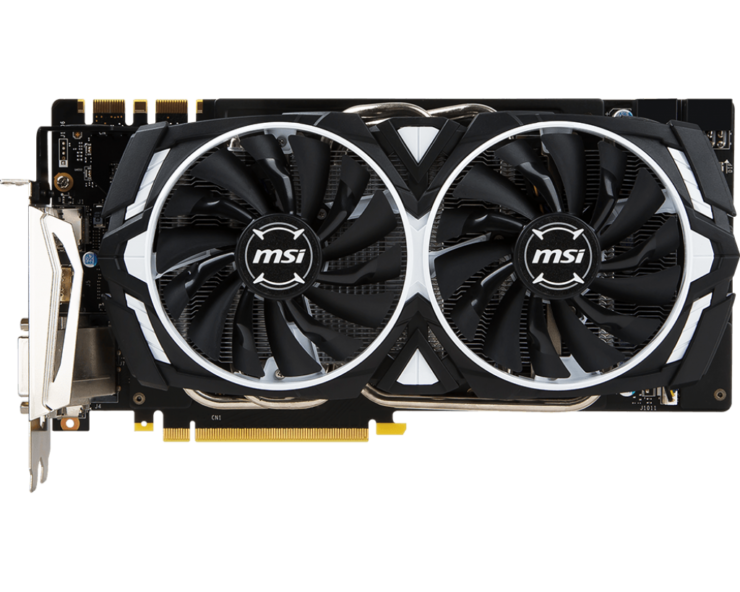 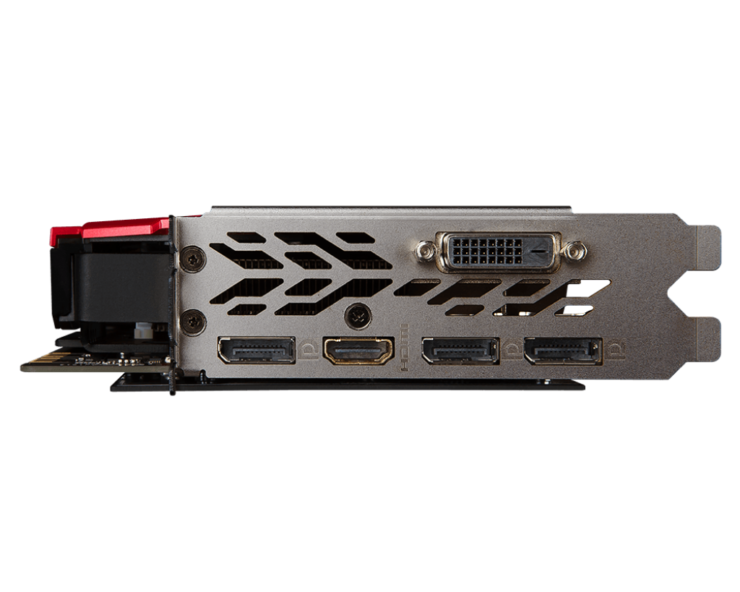 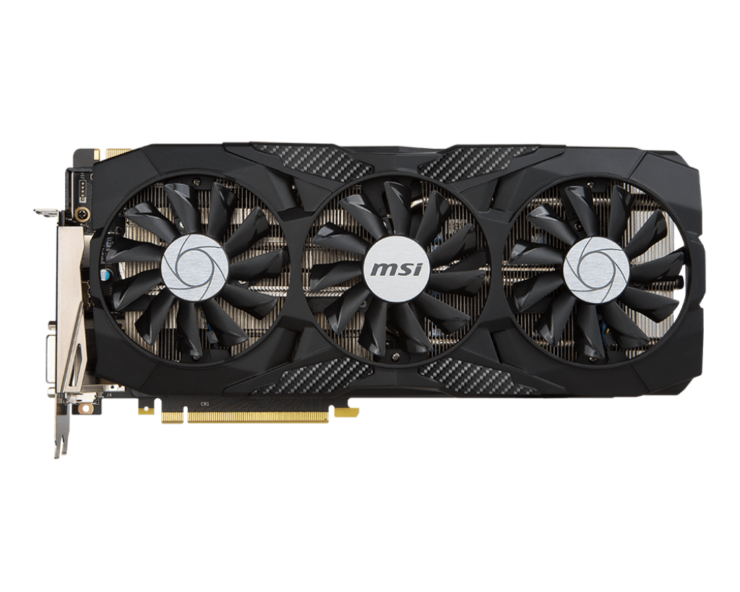 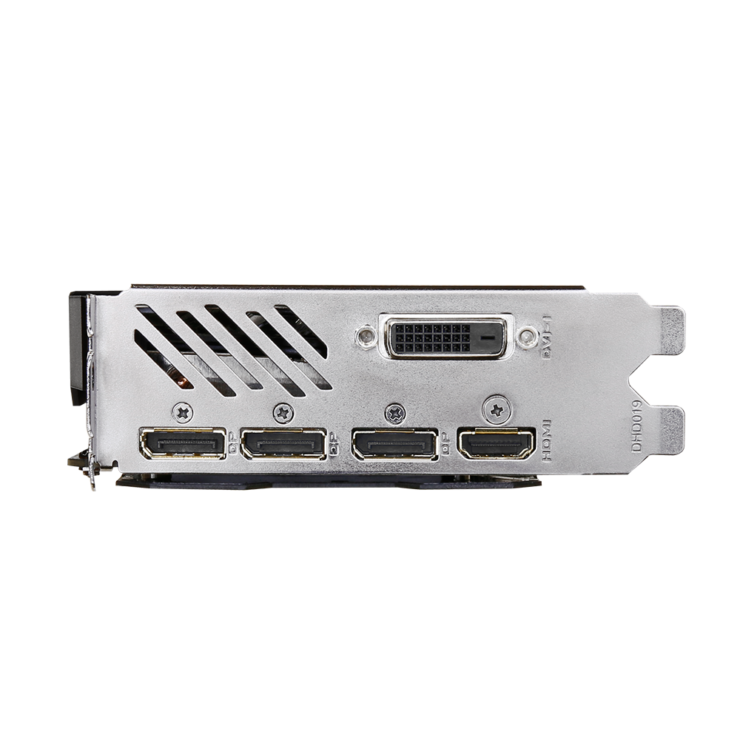 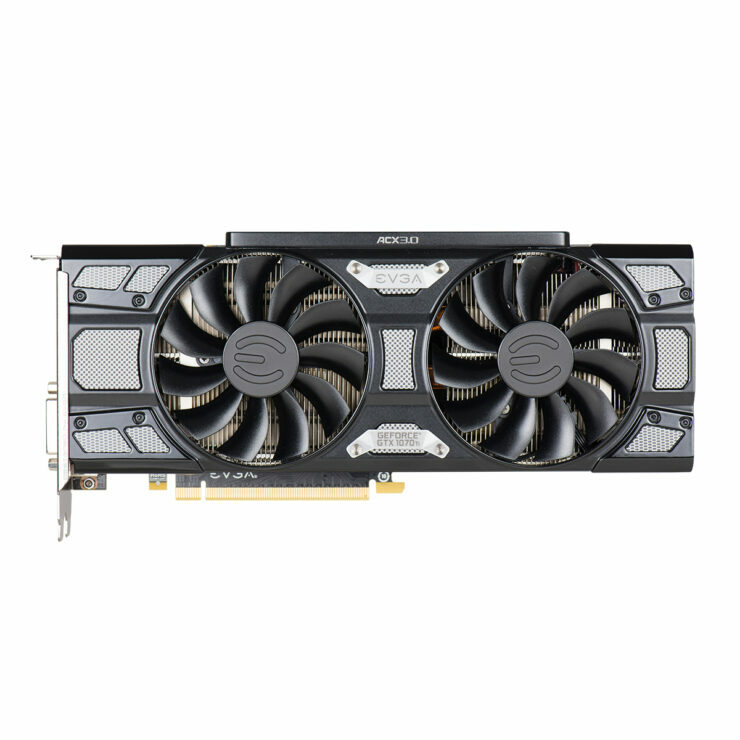 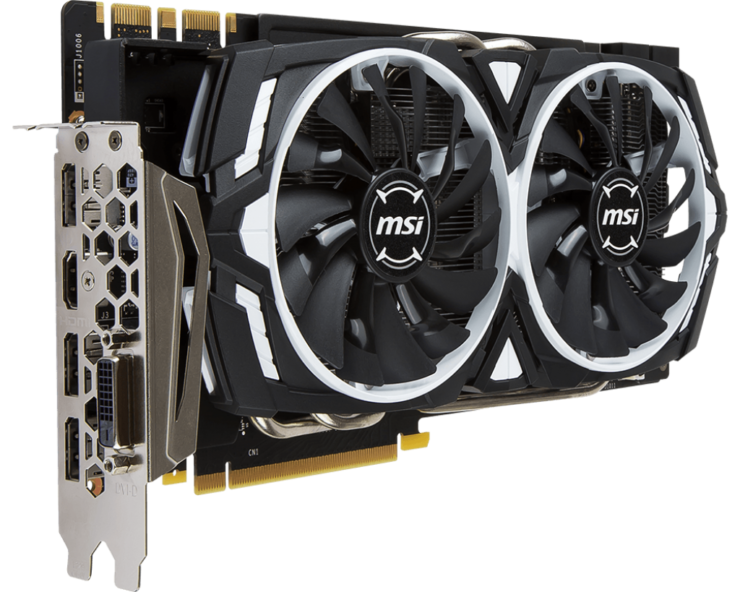 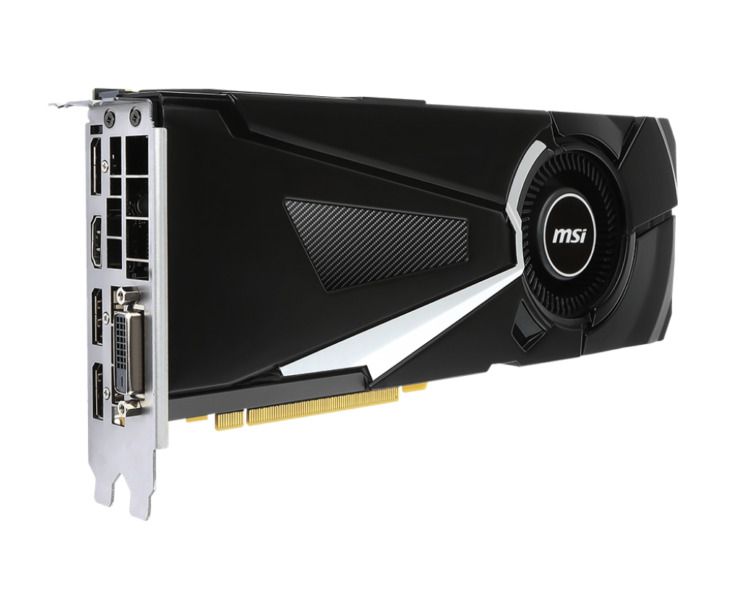 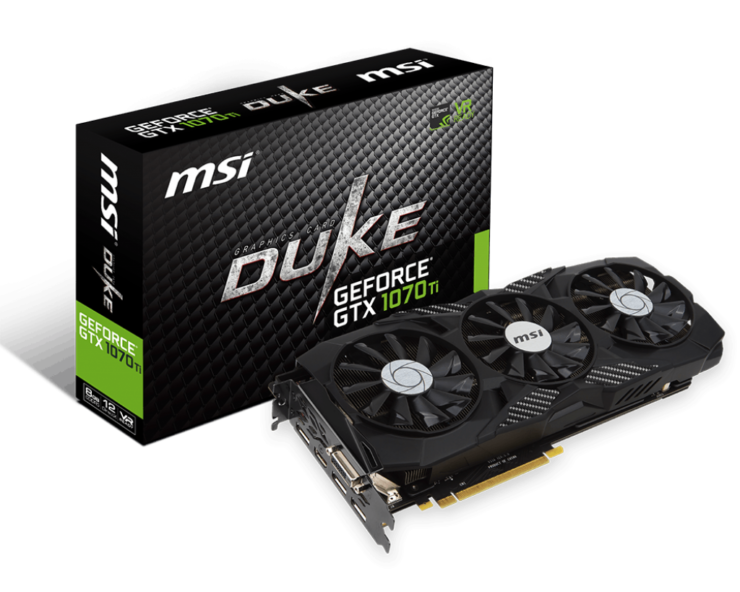 MSI has five cards in their GeForce GTX 1070 Ti family. 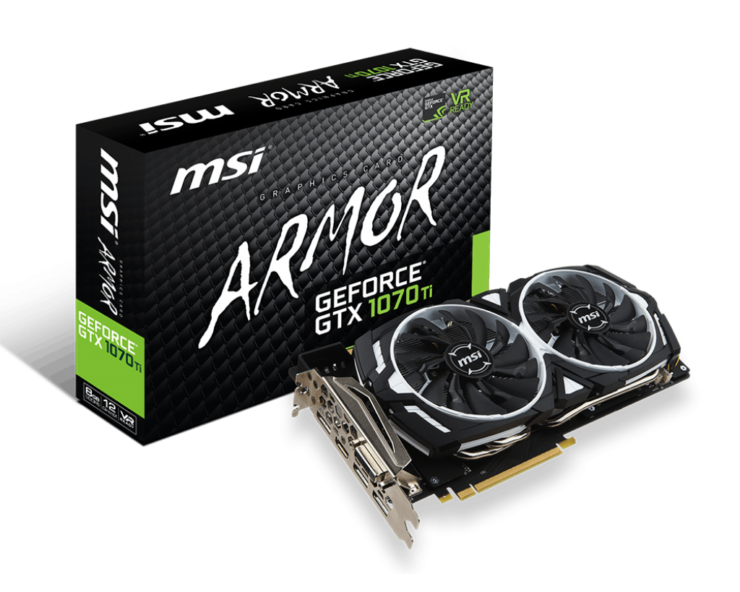 These include the Gaming, Titanium, DUKE, Armor and Aero. 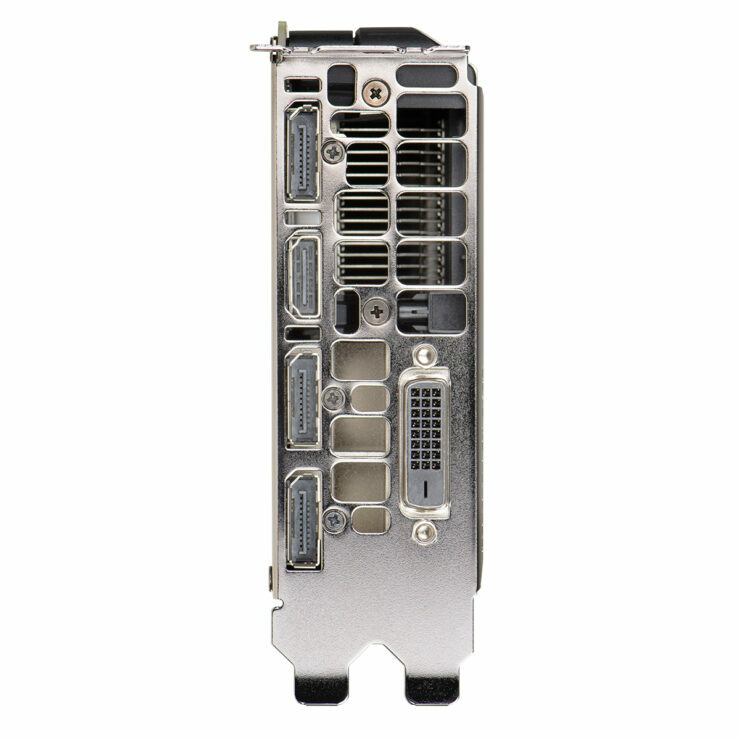 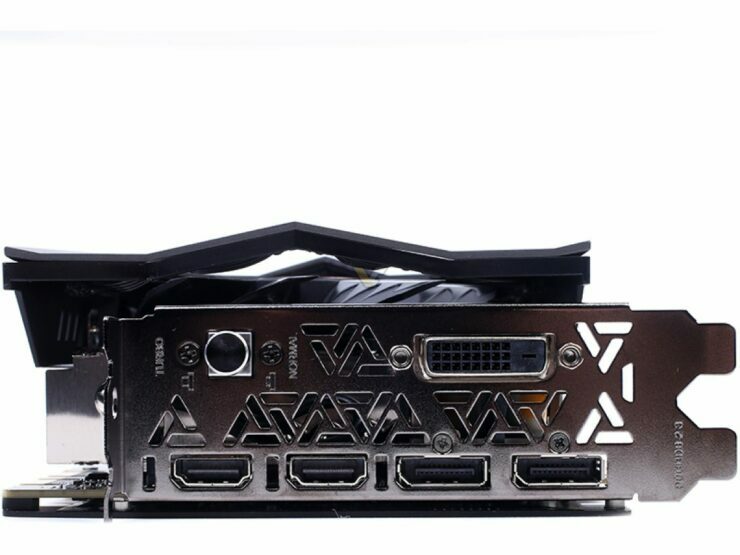 All cards except the Aero utilize a custom PCB design. 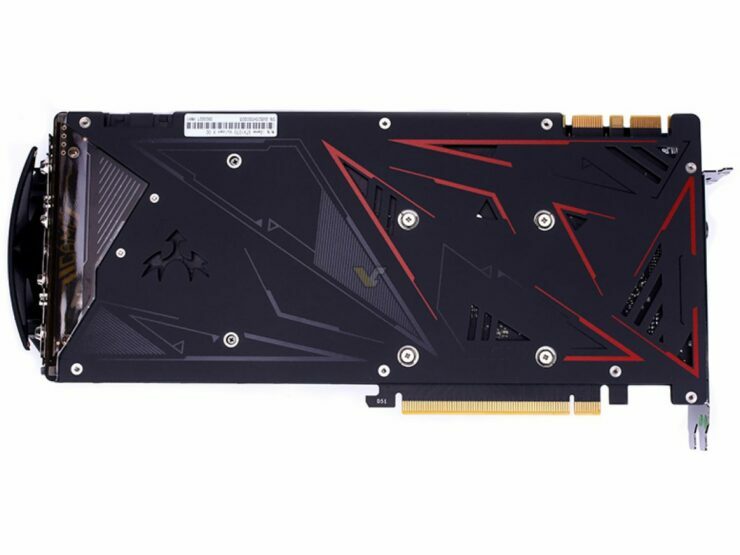 The Gaming and Titanium cards use the Twin Forzr VI cooling with different color accents. 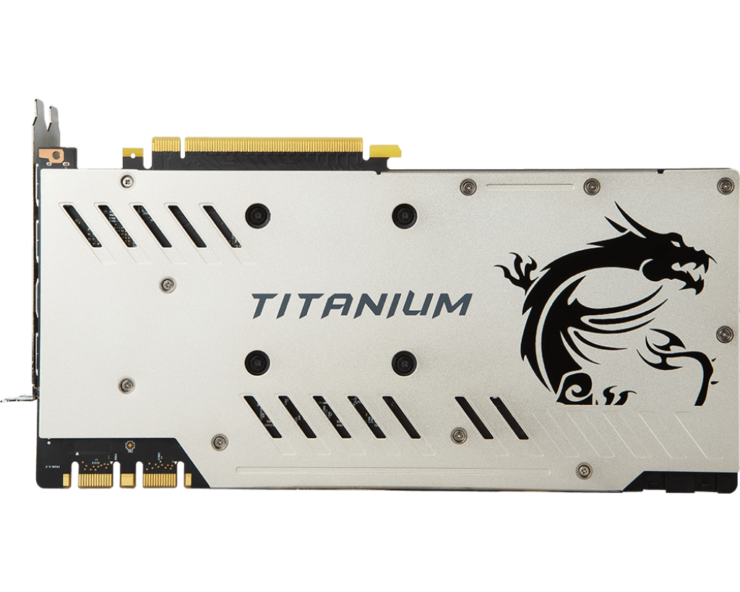 The cooling system while nearly identical is better on the Titanium with one extra heat pipe. 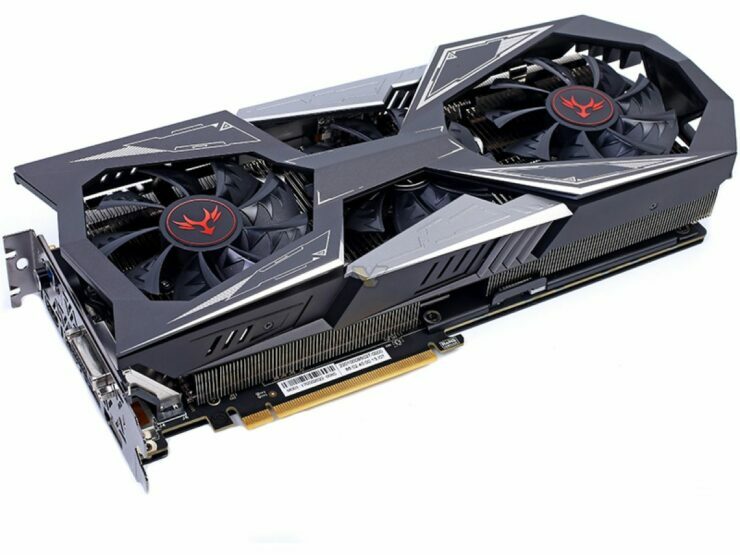 The DUKE uses a triple fan design and is a beefy card with customized PCB and the Armor has a PCB similar to Gaming and Titanium but the cooling is offered by a Twin Frozr V based cooling system. 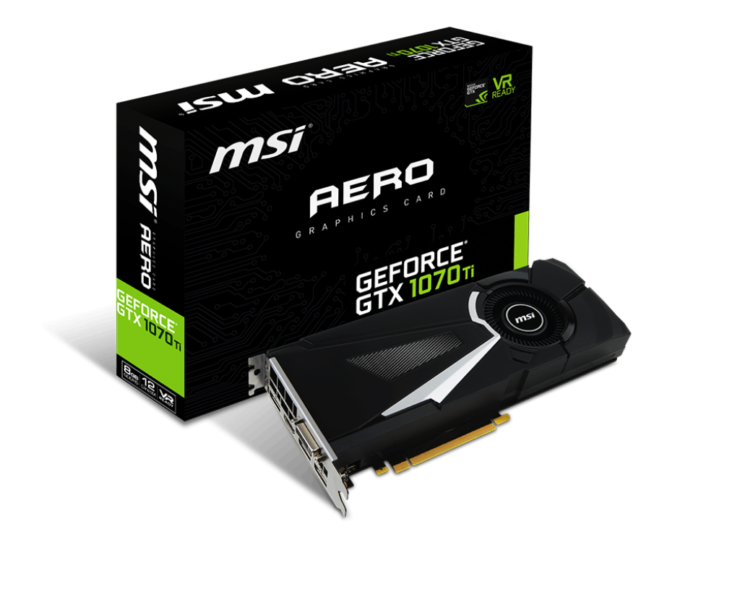 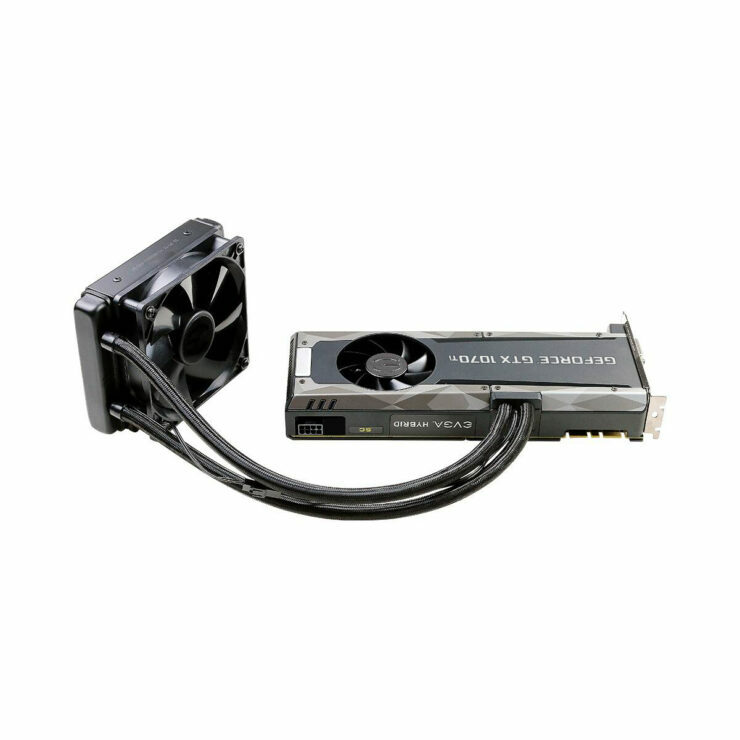 The Aero variant uses the reference PCB and a blower type cooler and will stick with the reference MSRP of $449 US. 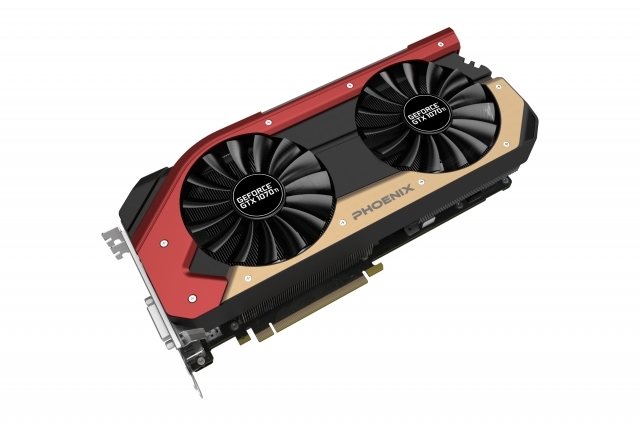 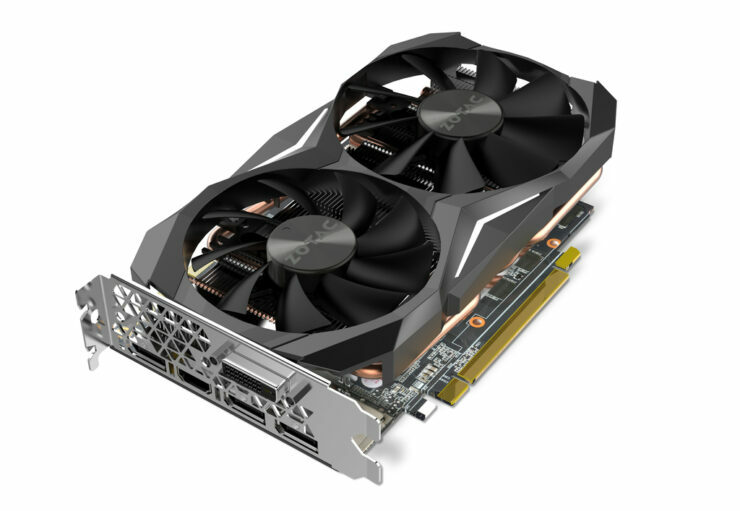 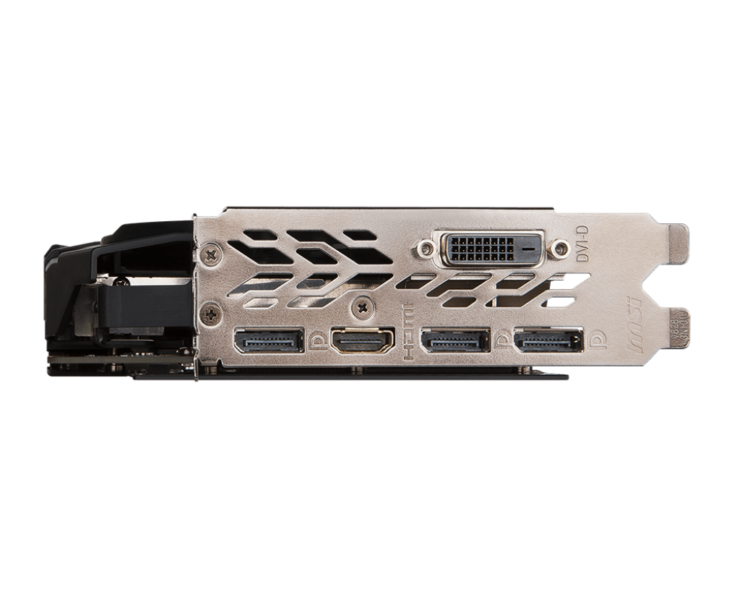 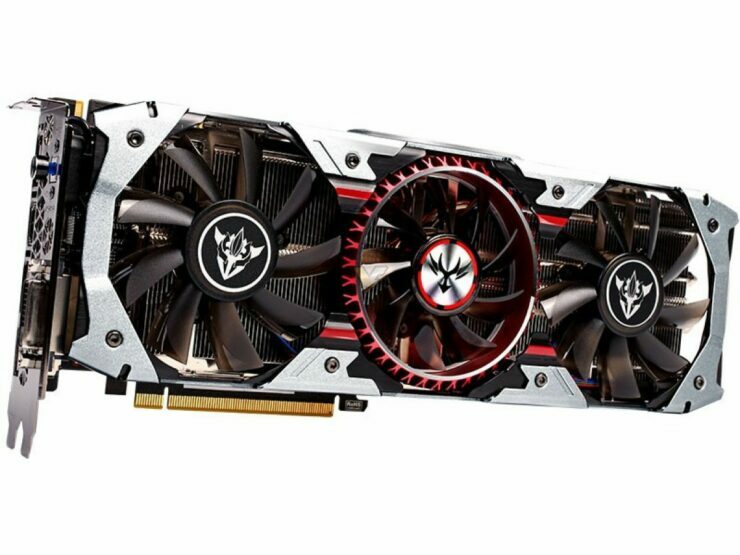 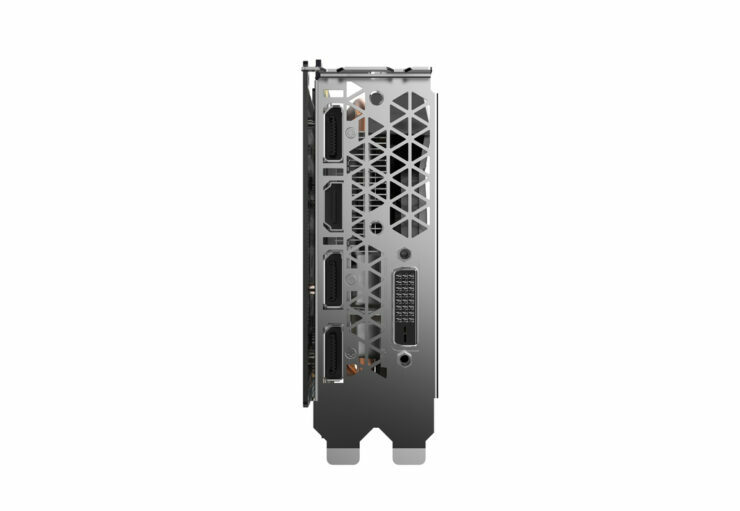 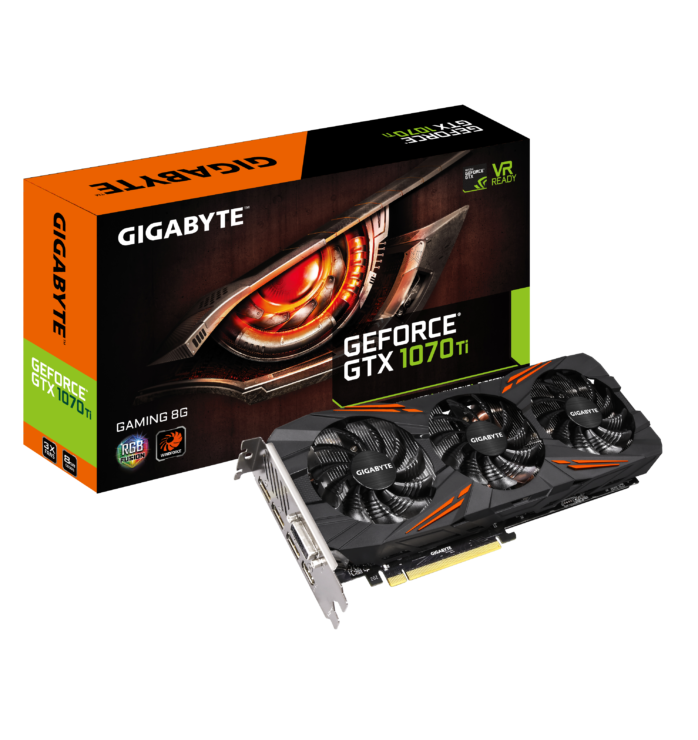 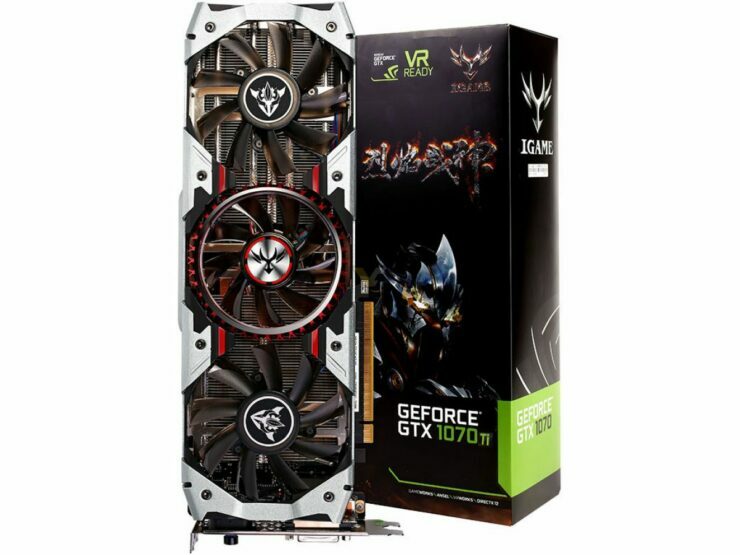 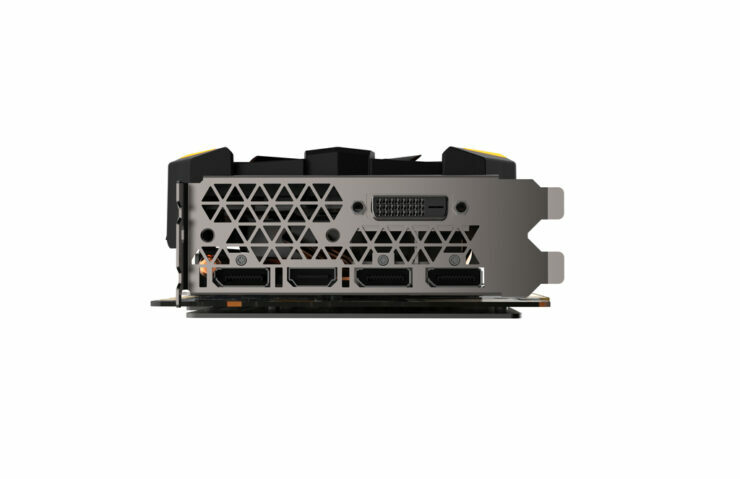 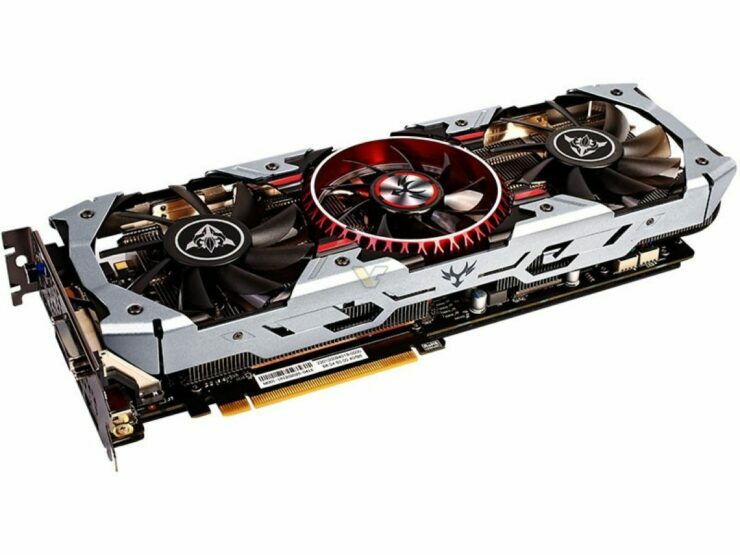 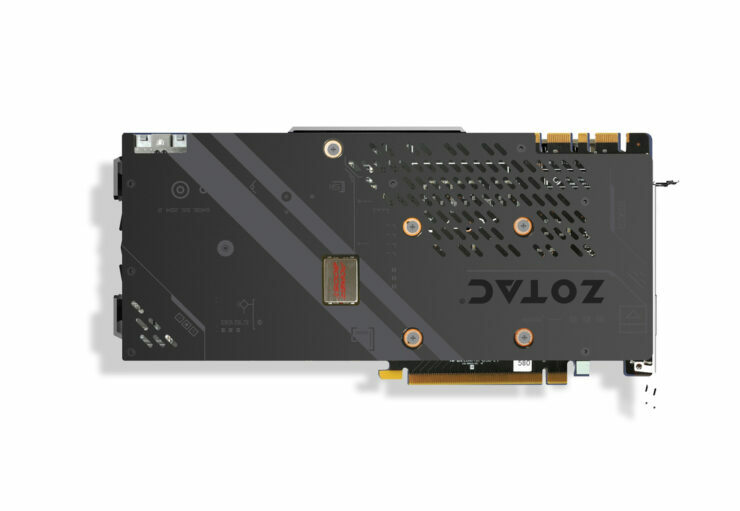 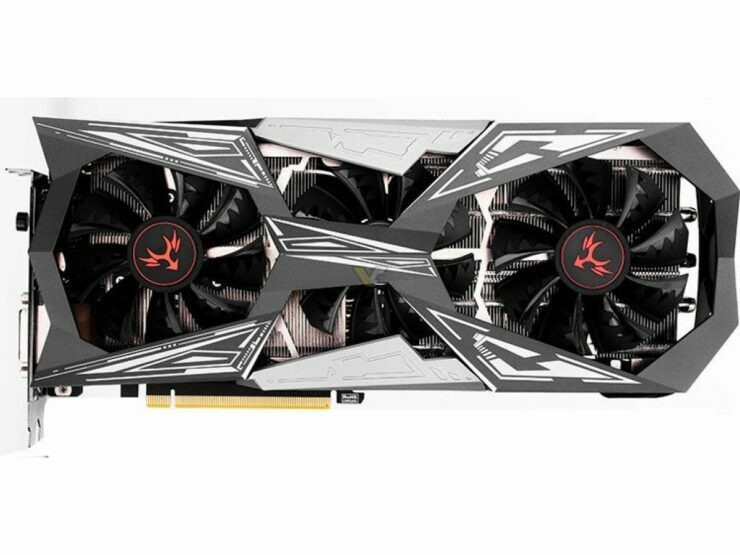 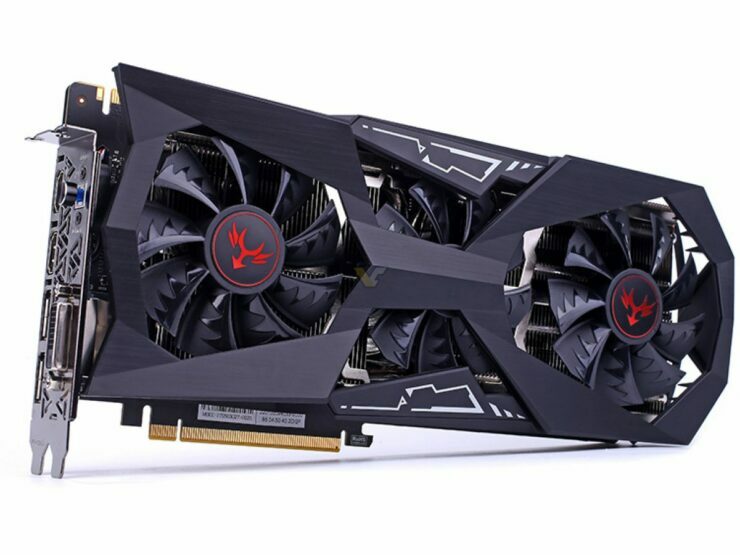 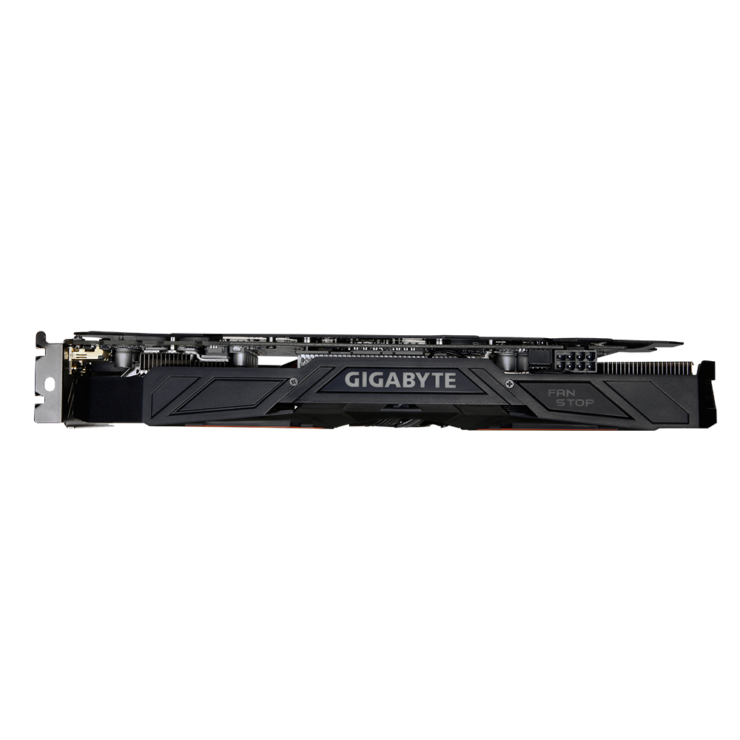 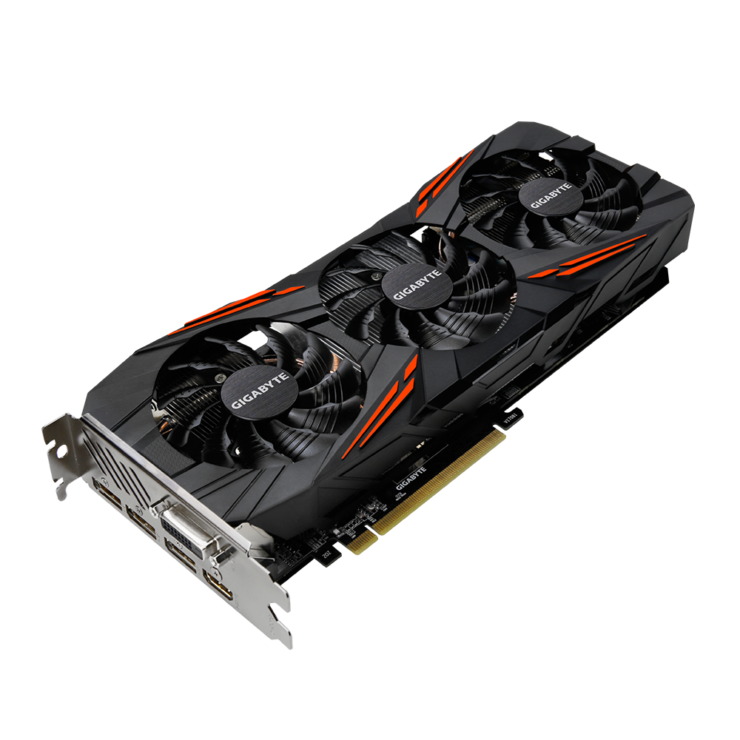 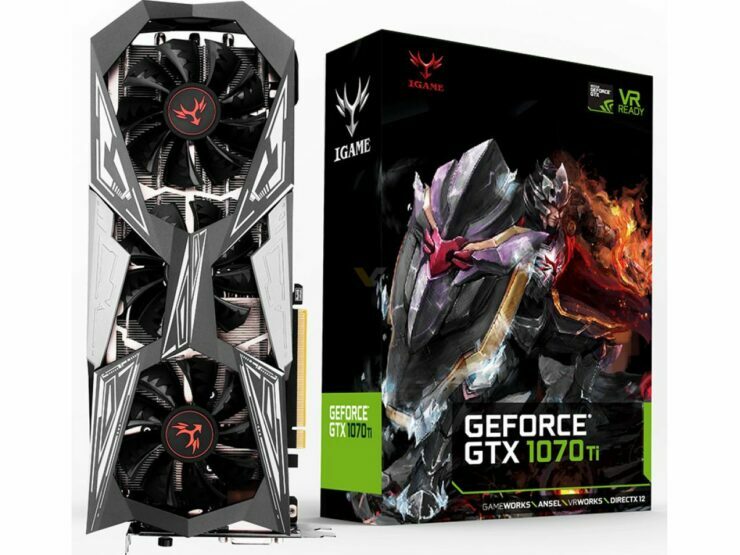 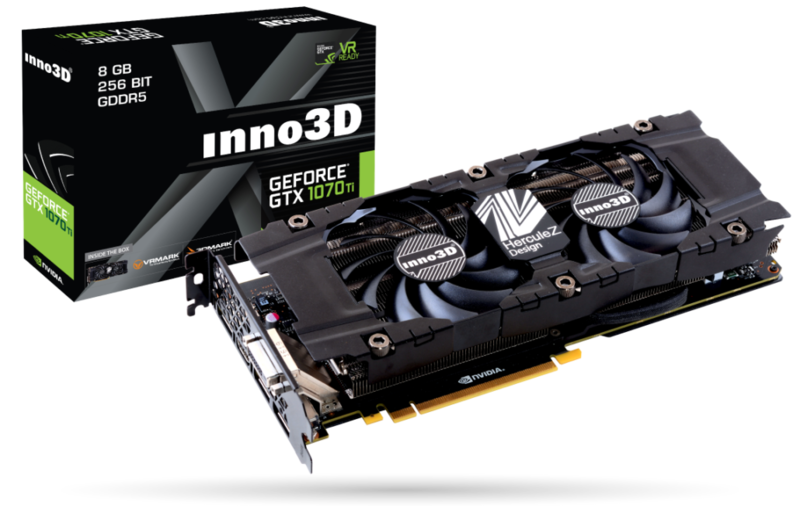 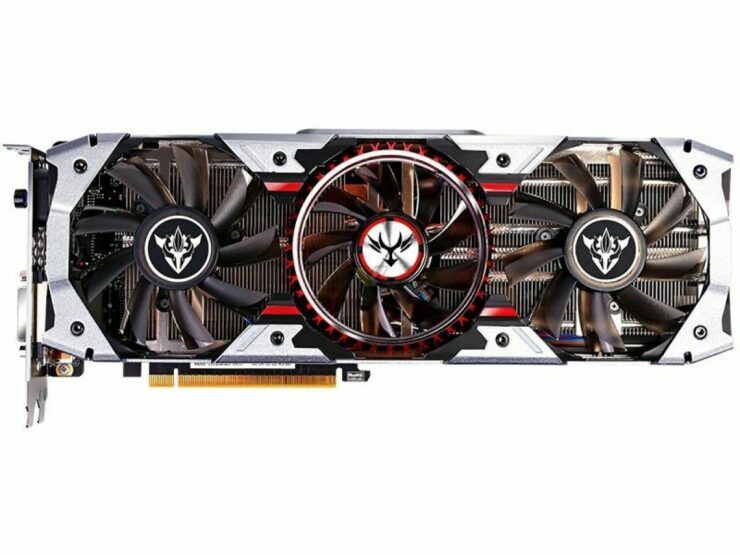 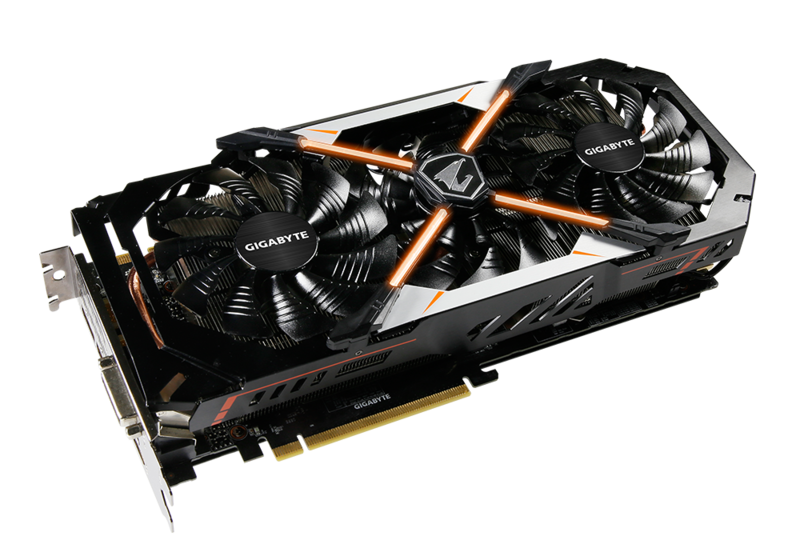 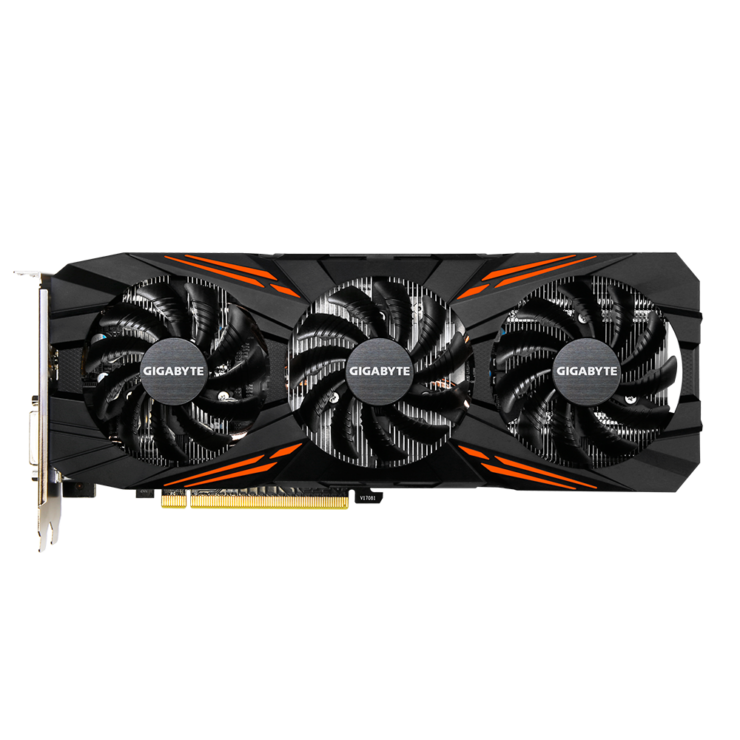 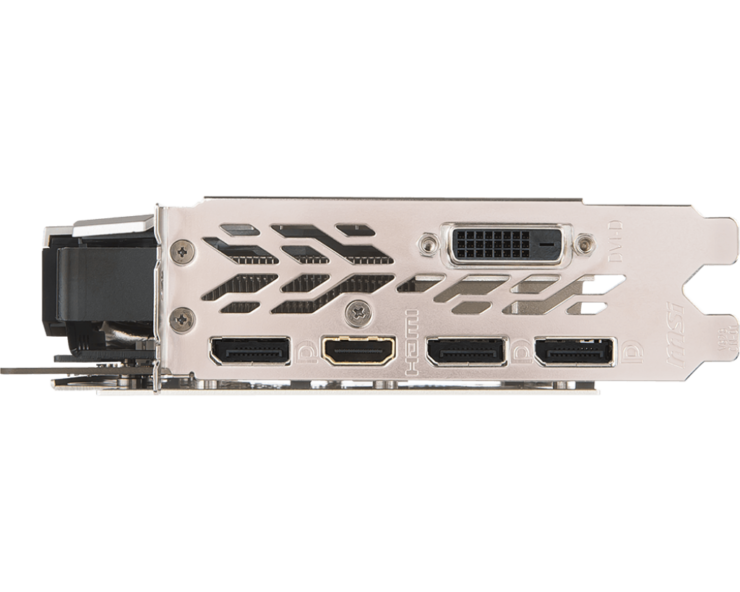 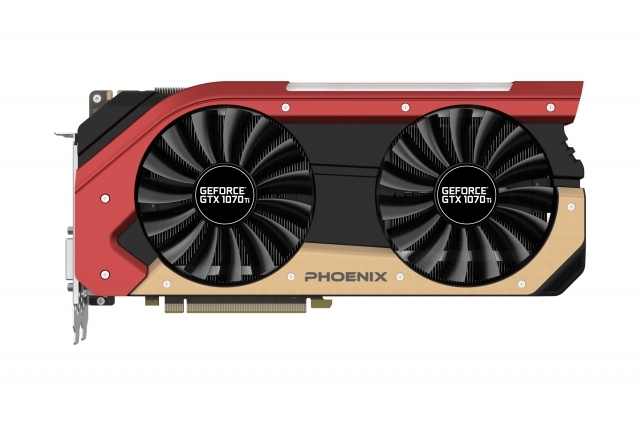 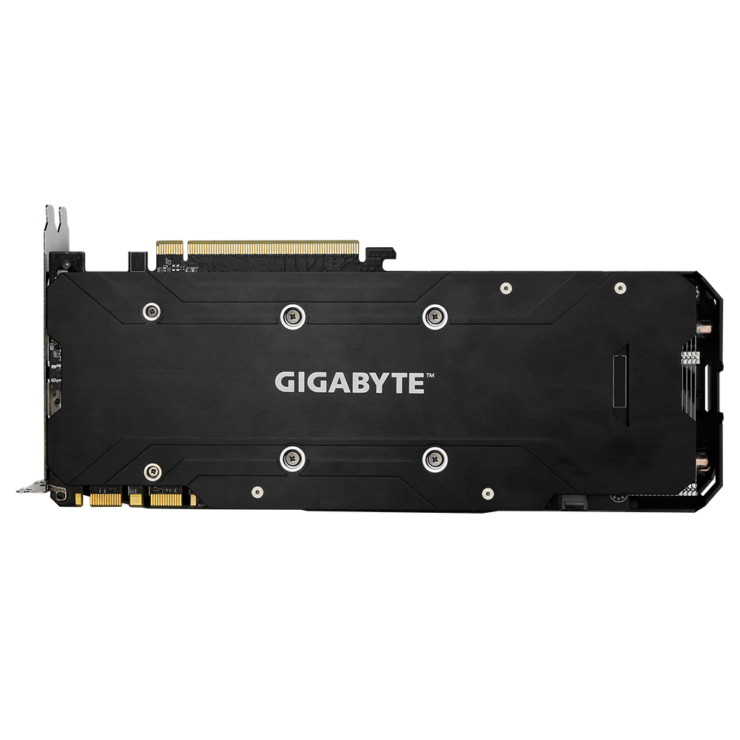 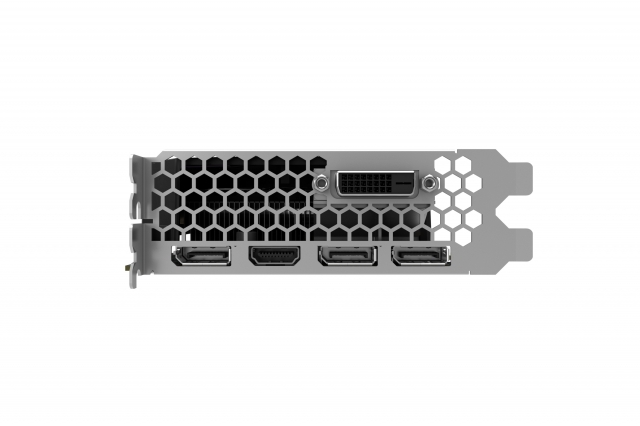 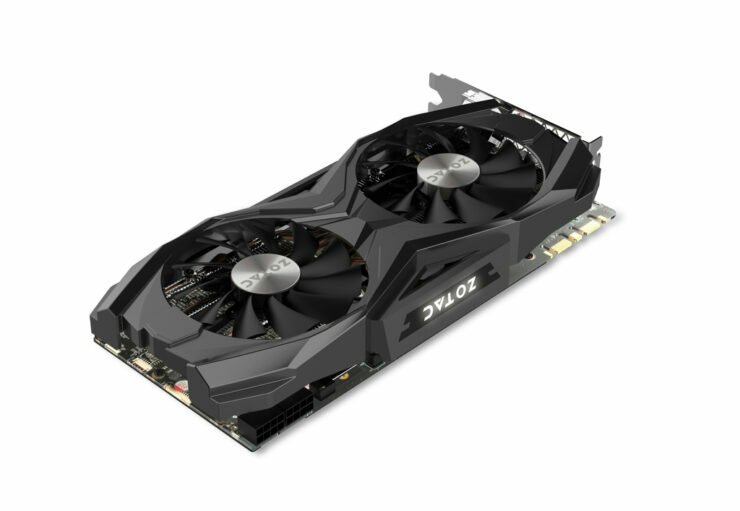 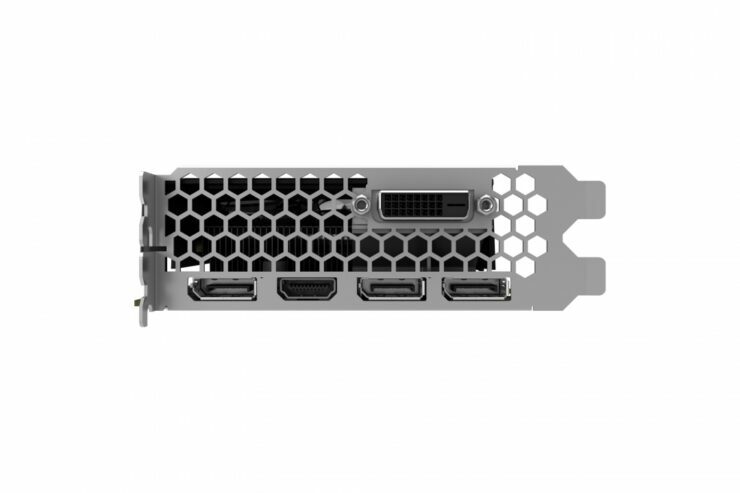 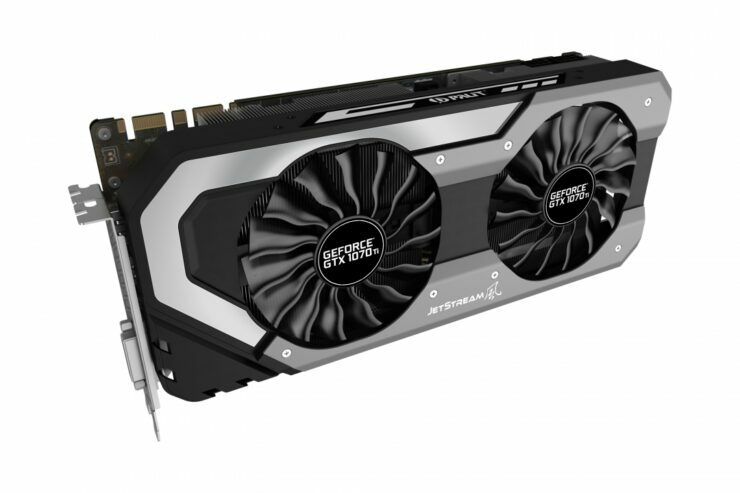 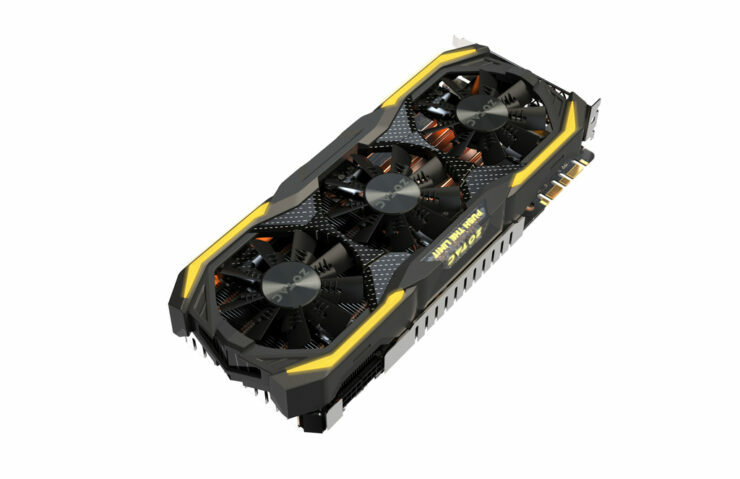 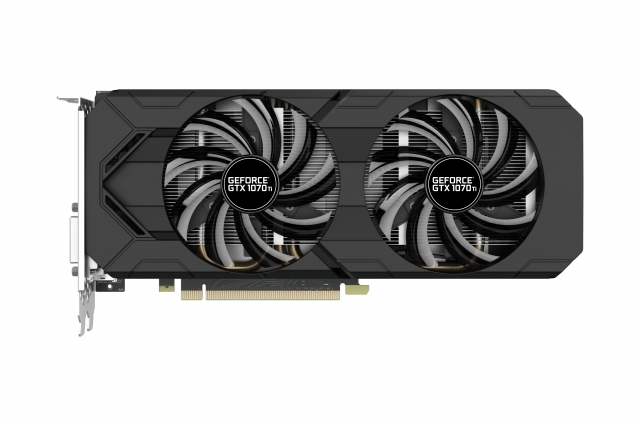 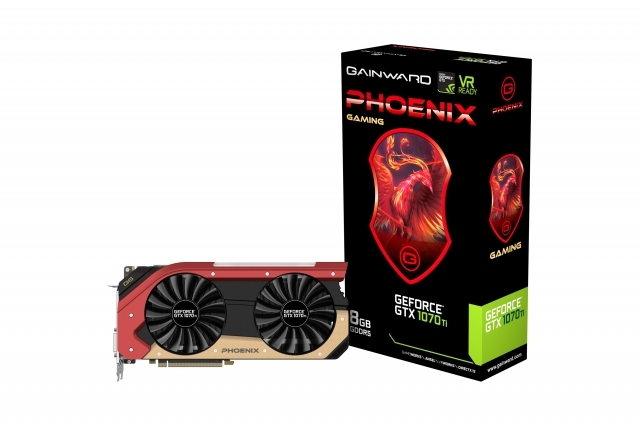 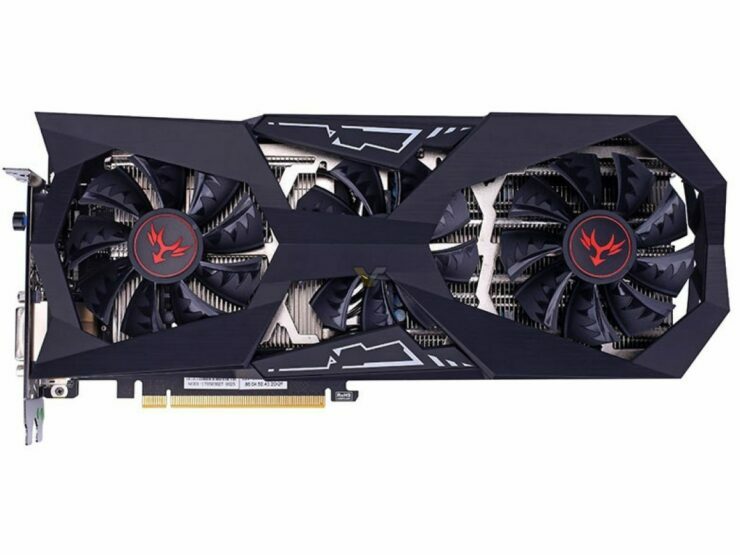 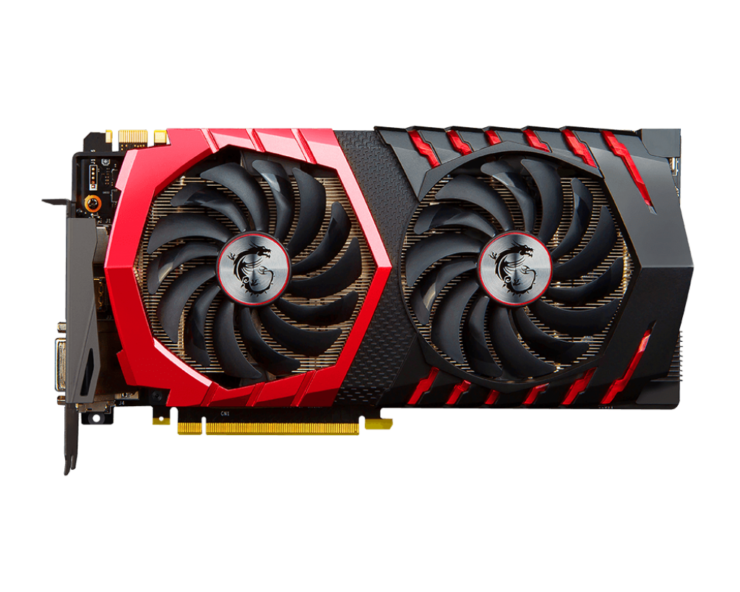 Gigabyte has three models in their lineup which include the GTX 1070 Ti Gaming with the older G1 series WindForce 3X cooling system and a custom PCB. 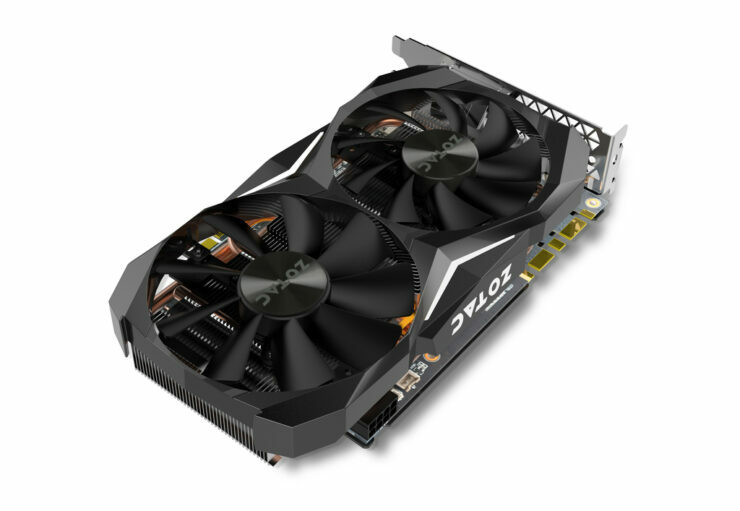 The AORUS variant uses the latest Wind-Force cooler and a more beefy PCB. 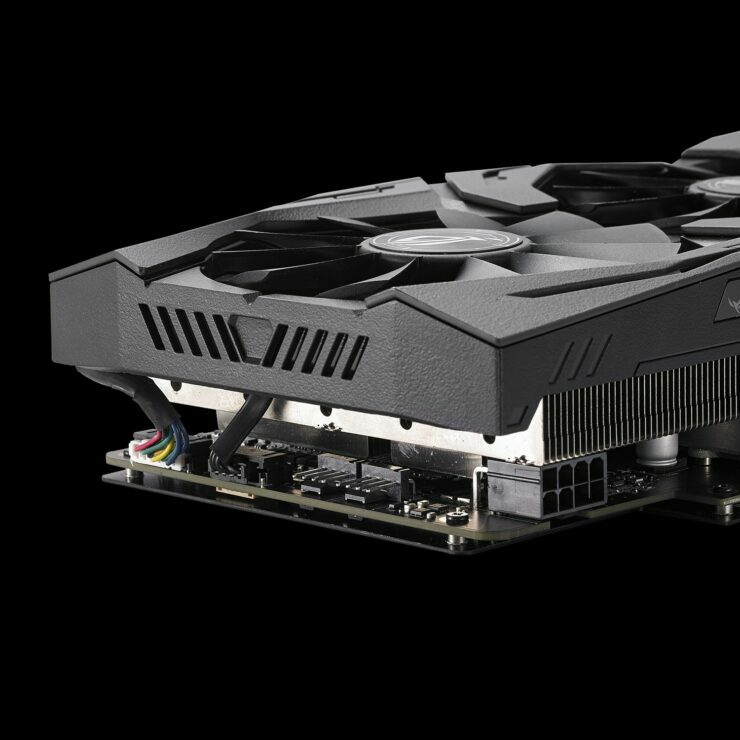 There’s a third Gaming variant with dual fan cooling system but that is yet to appear on the official webpage. 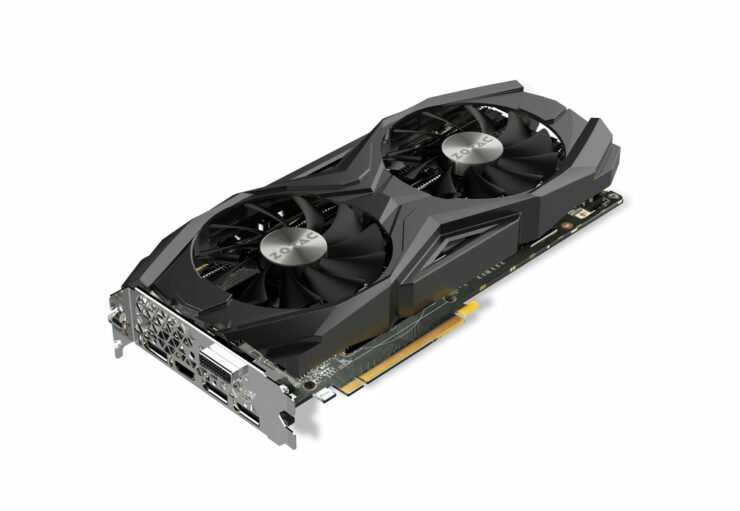 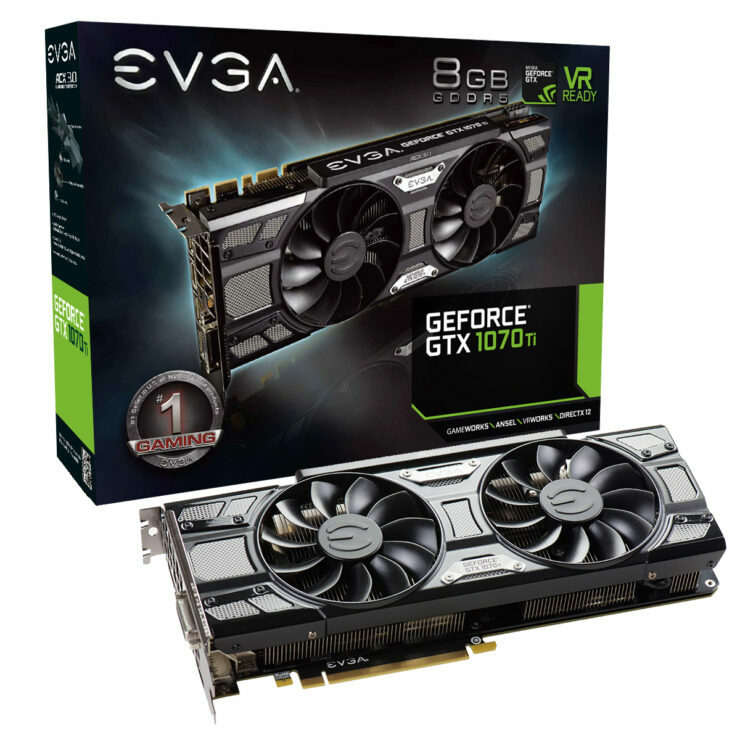 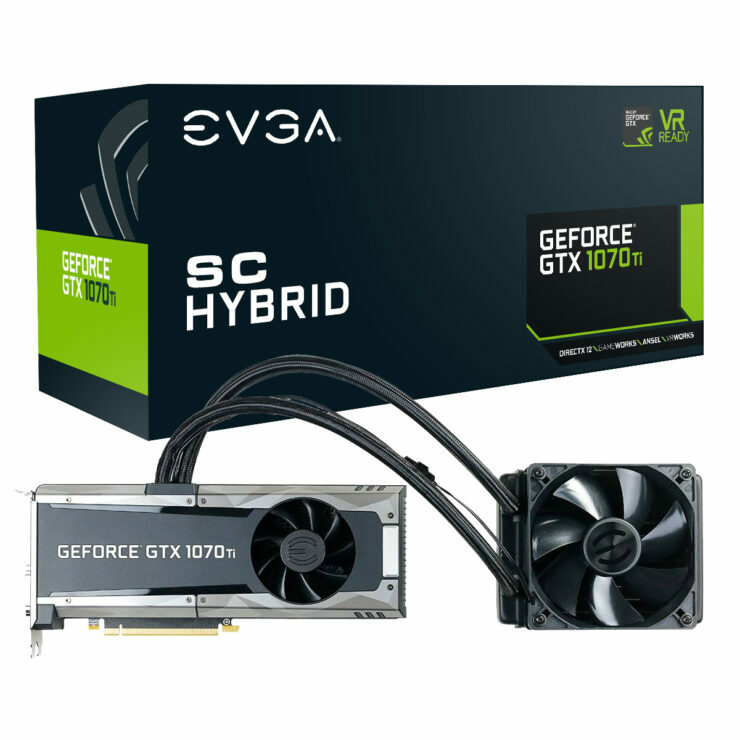 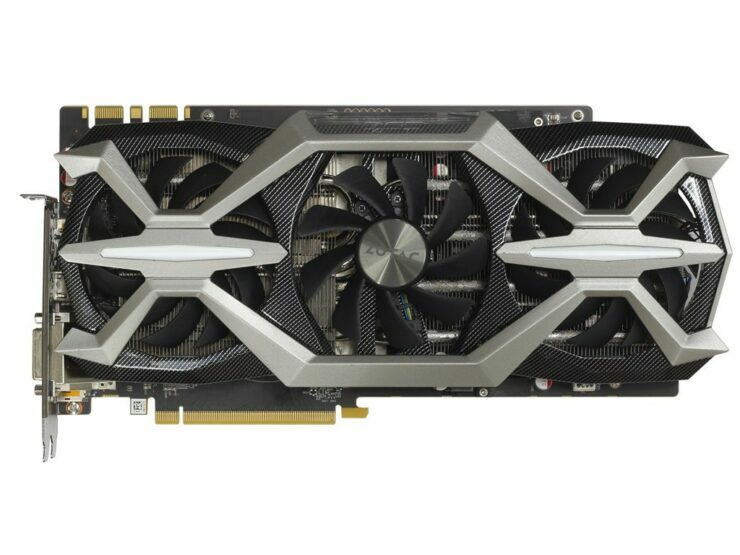 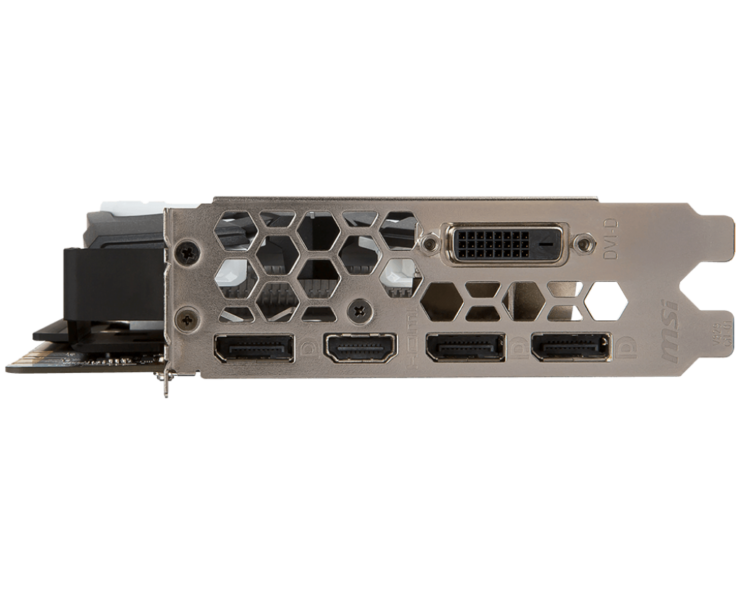 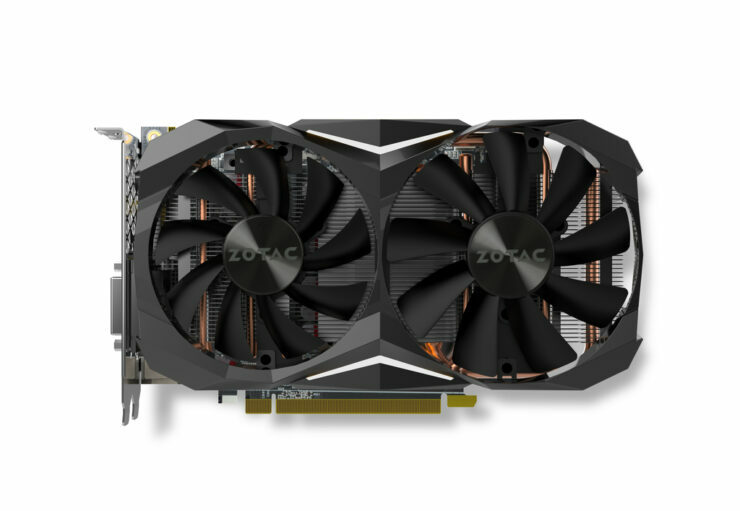 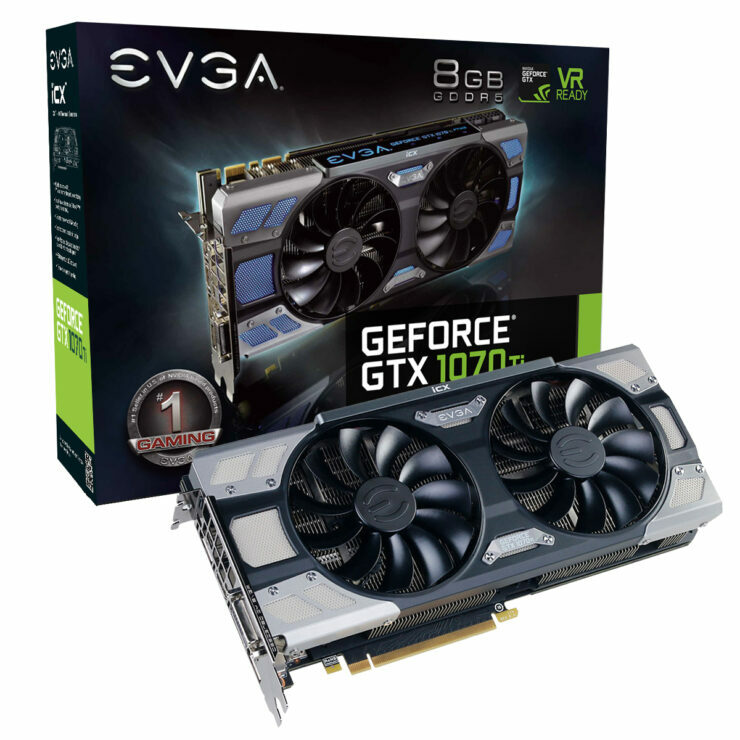 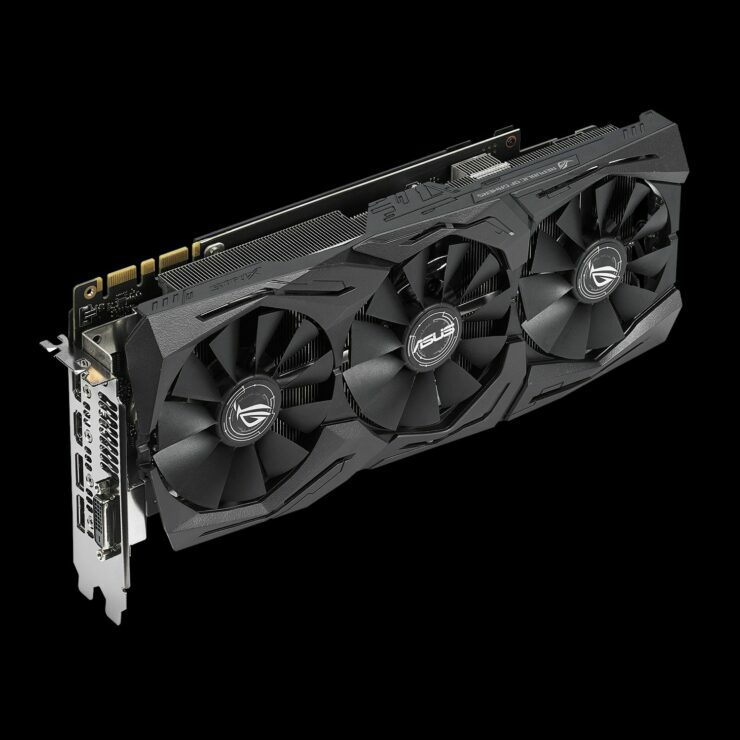 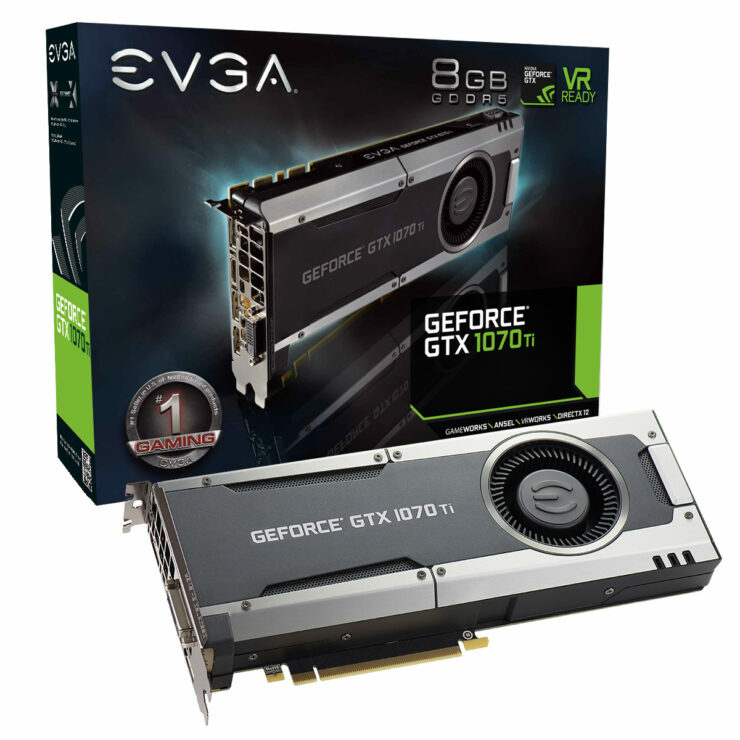 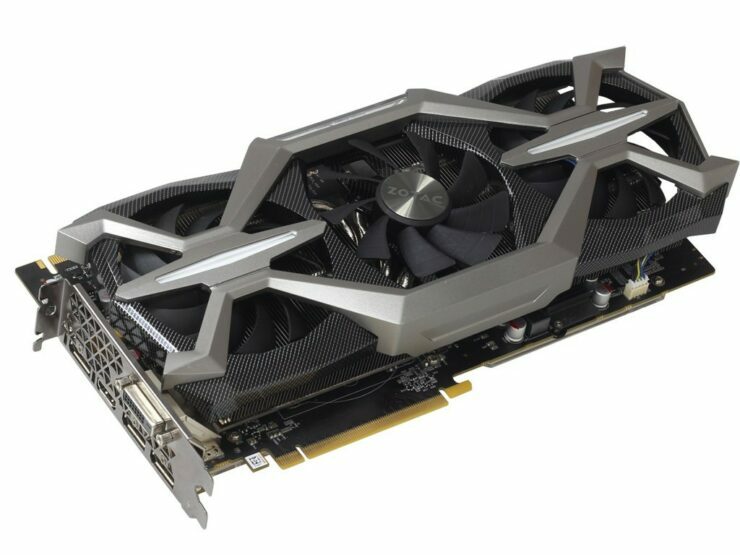 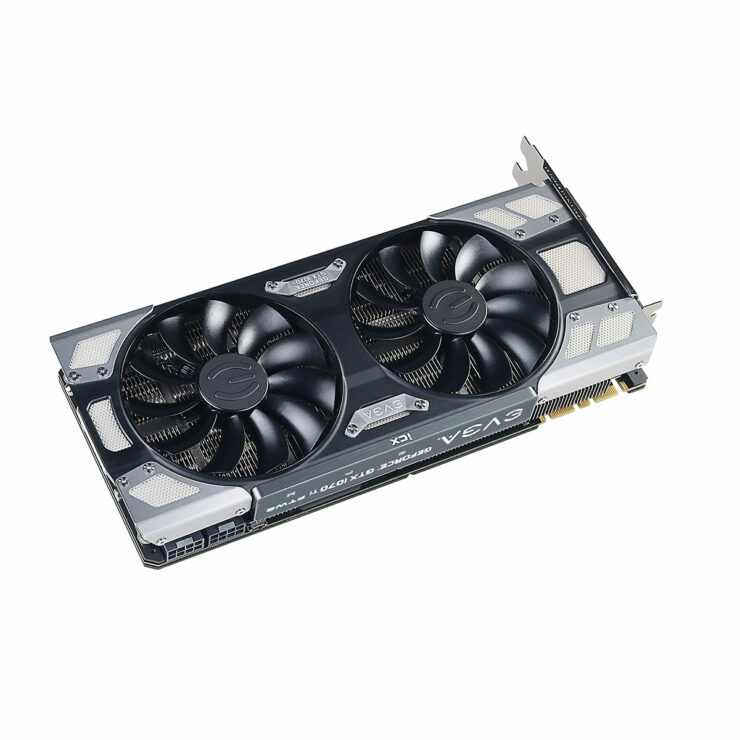 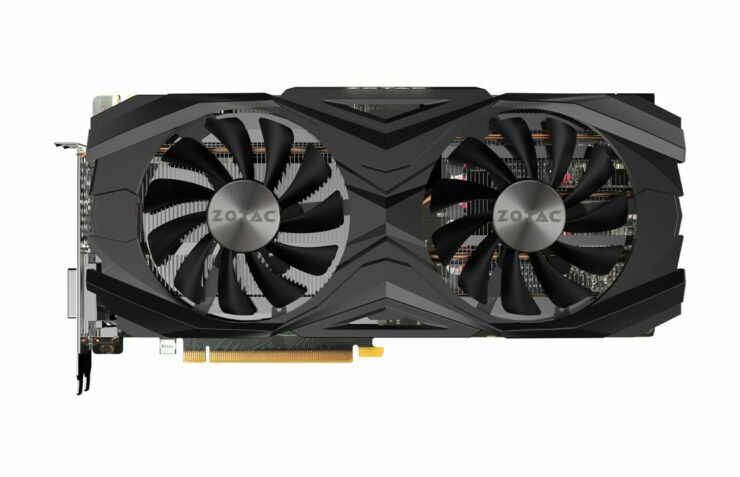 EVGA has announced a total of five GTX 1070 Ti models. 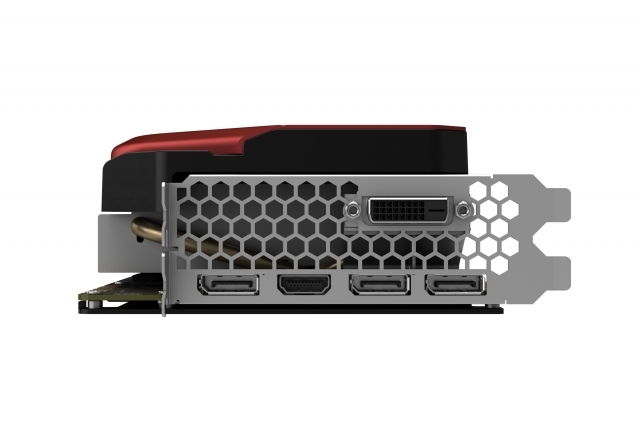 These include four ICX and one reference model. 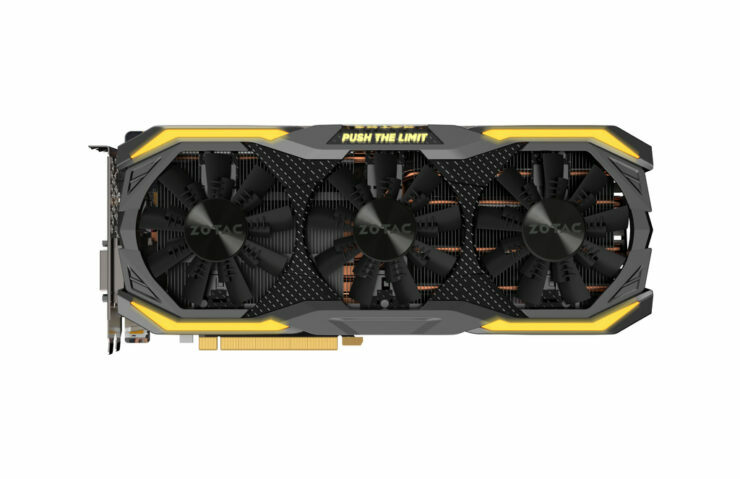 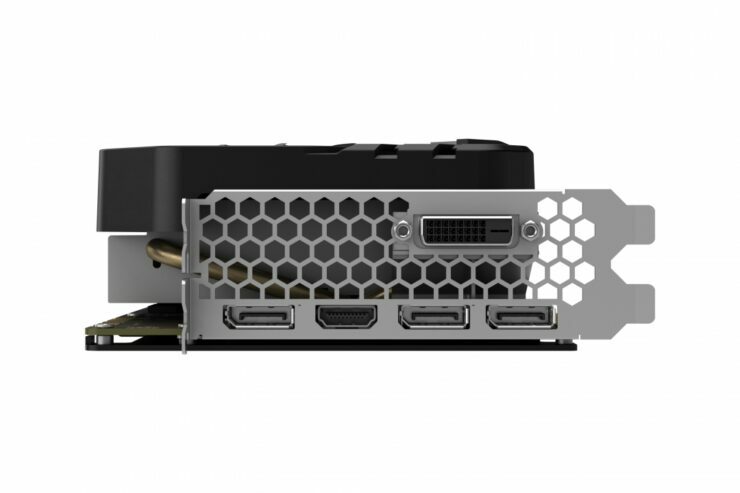 The models include FTW2 Gaming ICX which is the fastest of the bunch and hits a max TDP range of 235W. The other variants stick to 217W but due to better cooling systems, can still deliver a good overclocking result to users. 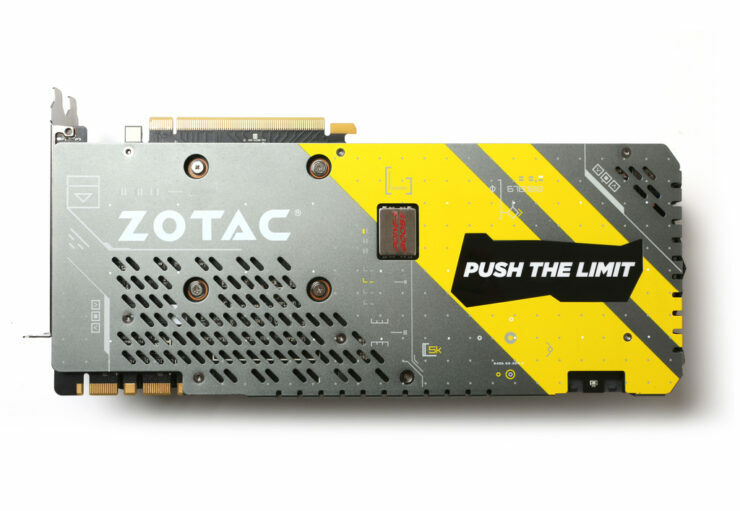 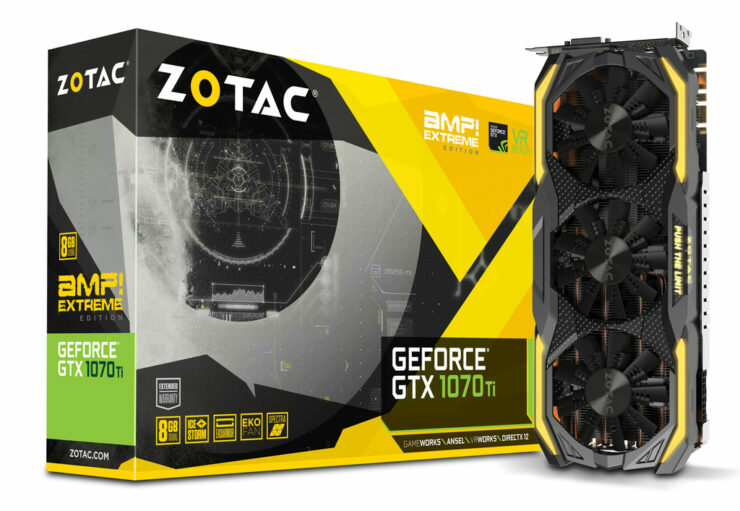 ZOTAC has six different cards in the pack with three falling in the AMP! 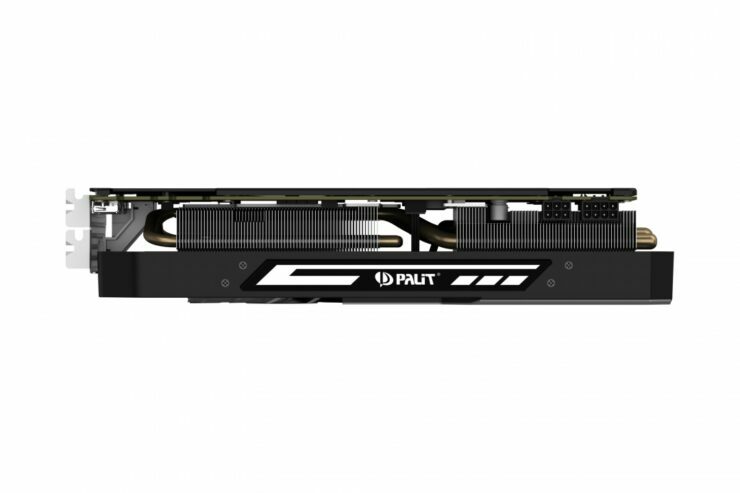 series while the rest fall in the PGF series. 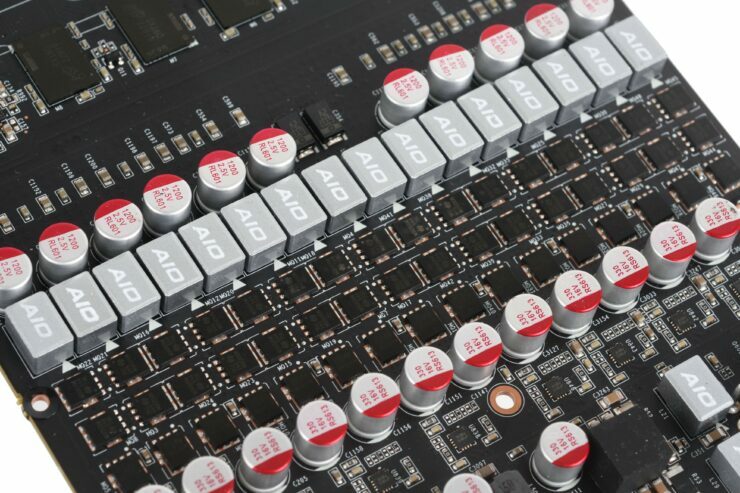 The AMP series includes the AMP Extreme, AMP Edition and AMP Mini while the PGF series which will be kept exclusive to APAC and neighboring markets will include PGF Supreme and Supreme Plus models with very powerful PCBs. 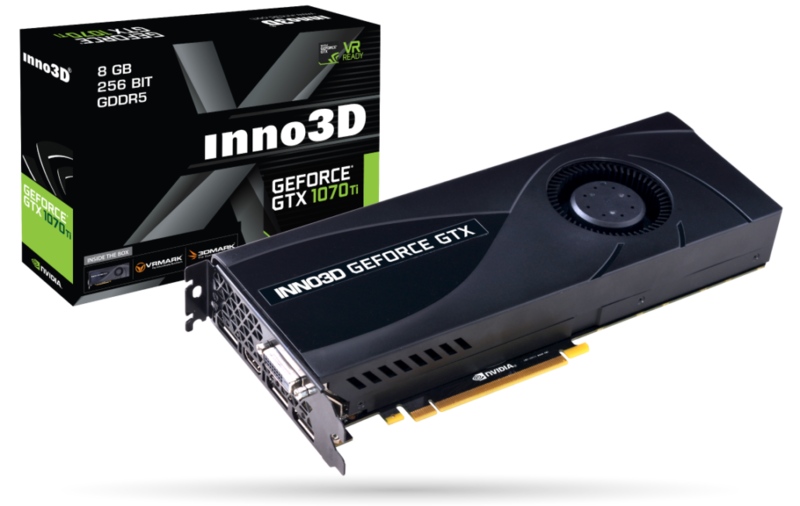 Inno3D has four models ready to hit store shelves on 2nd November. 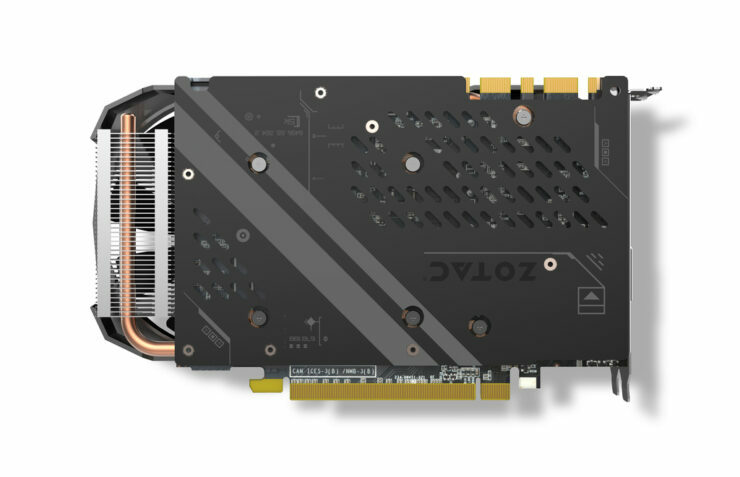 Out of these four, three are based on the iChill series cooling systems (X4/X3/X2) while one card is based on the blower style cooling system. 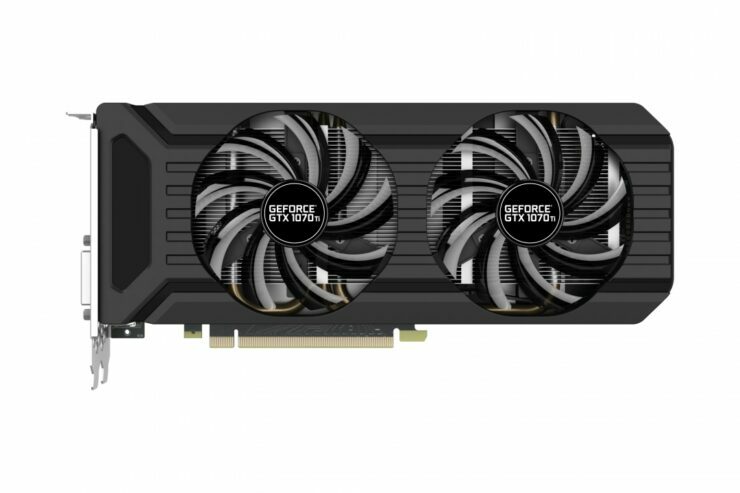 Colorful is known for their bold custom designs and this time, they are going to offer three very unique cards. 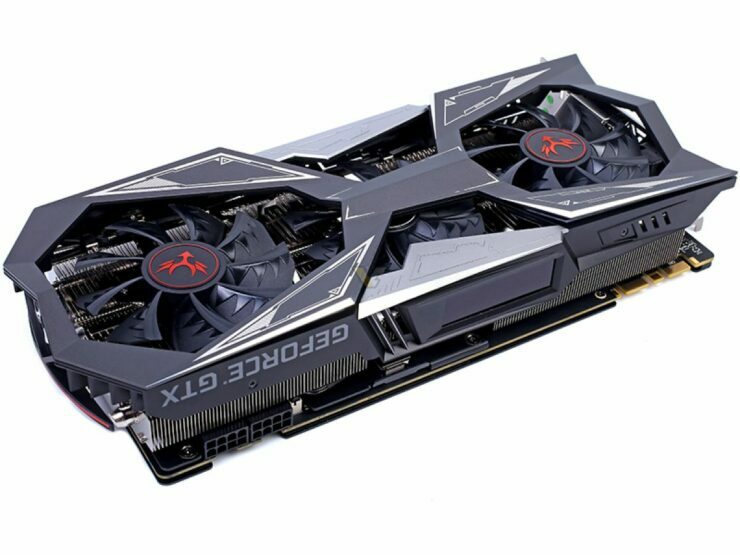 Their Vulcan X series will include the normal and TOP variant with the X TOP being the eye catcher with its chrome silver shroud and shark themed design. 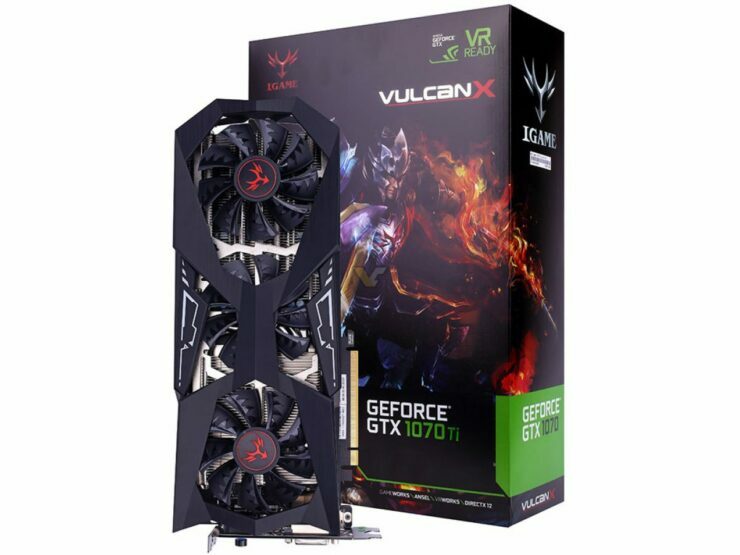 The Vulcan AD on the other hand keeps things interesting with the whole mechanical gear design that looks cool. 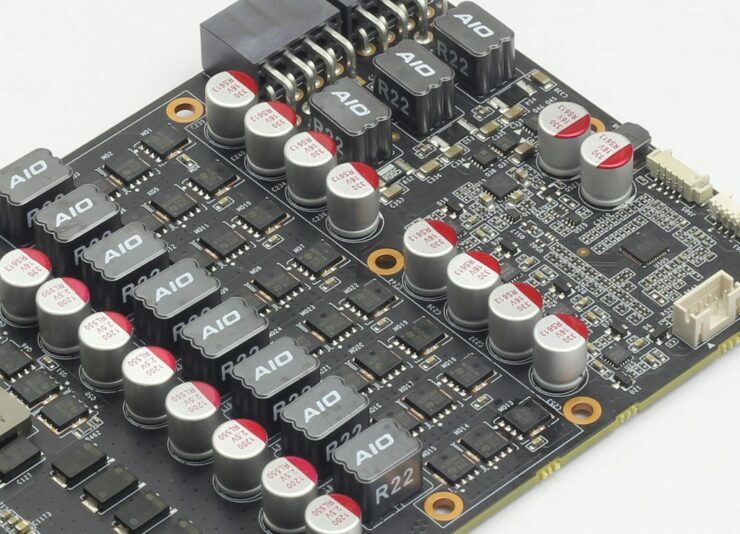 PNY is offering two very basic cards that use a reference PCB. 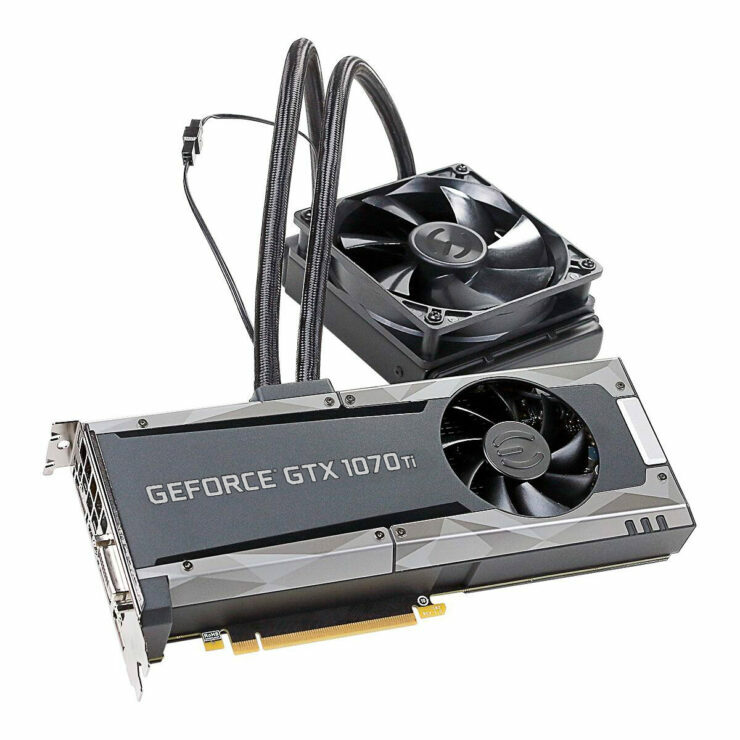 The only difference is that one model uses a dual fan cooler while the other comes with a blower style cooler and prices will be kept very close to MSRP. 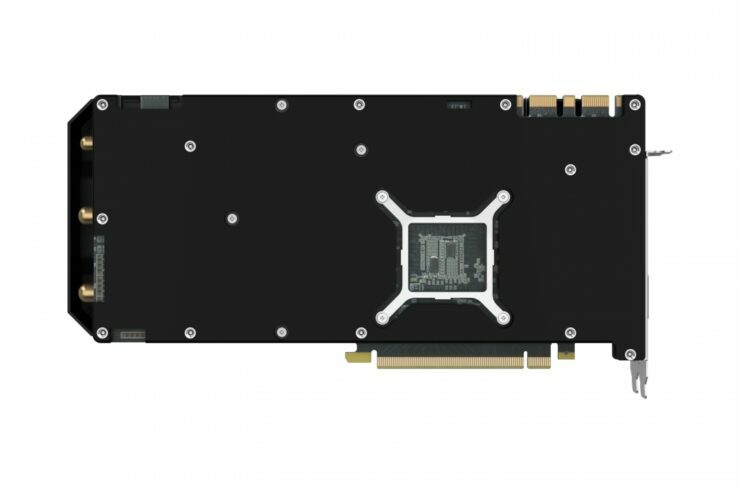 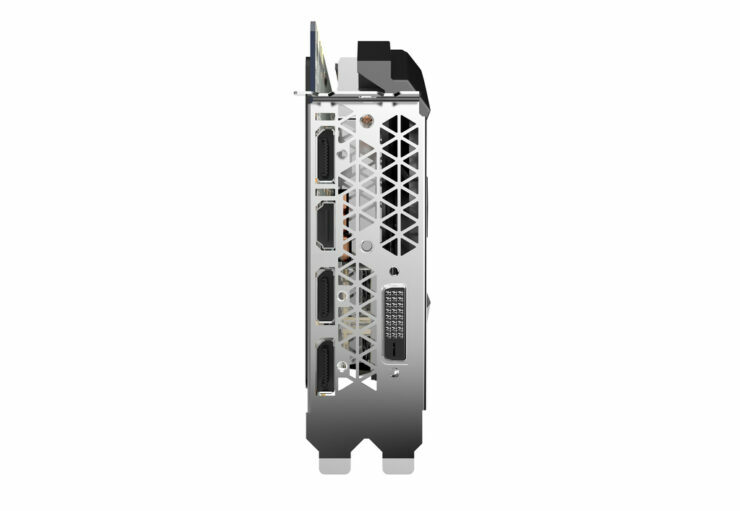 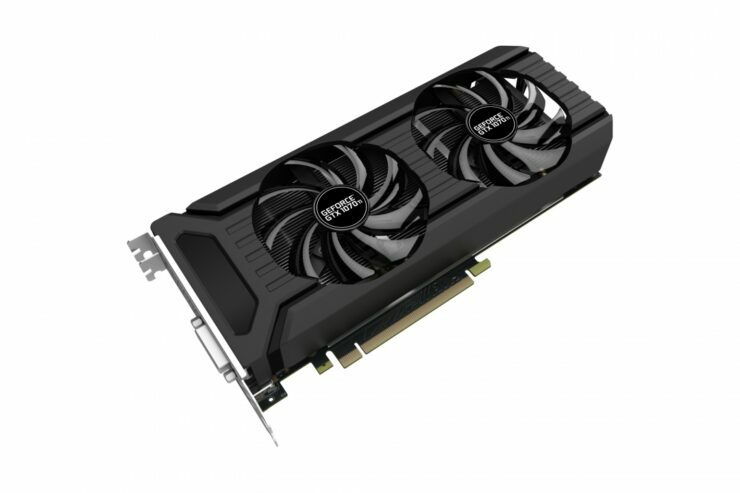 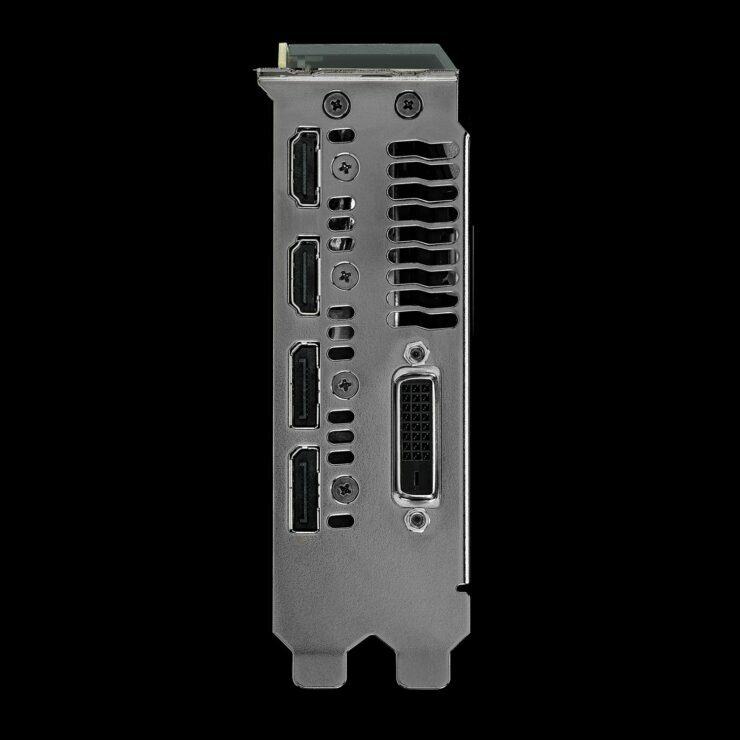 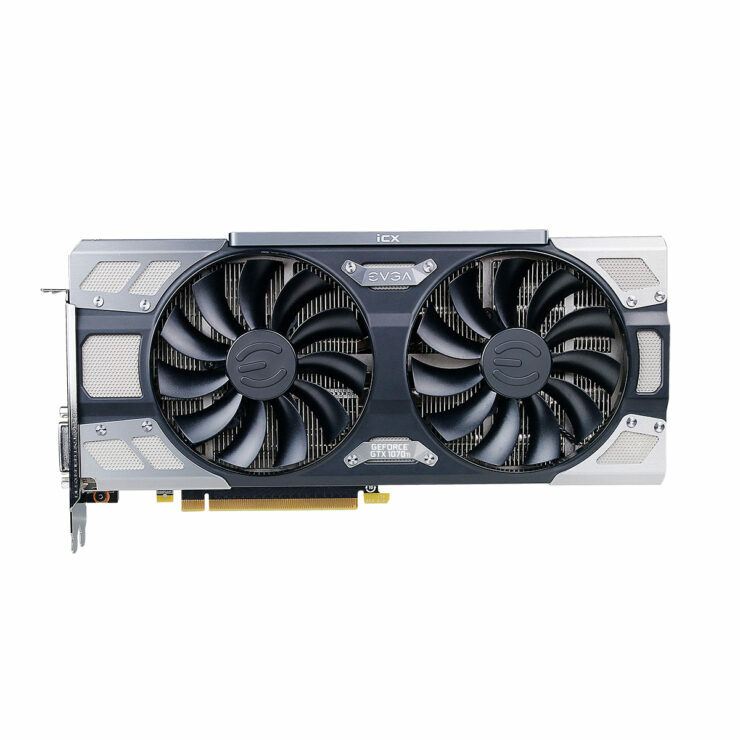 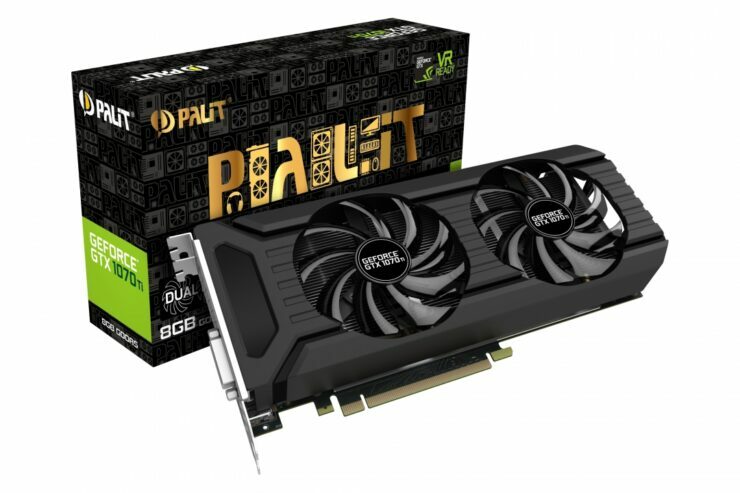 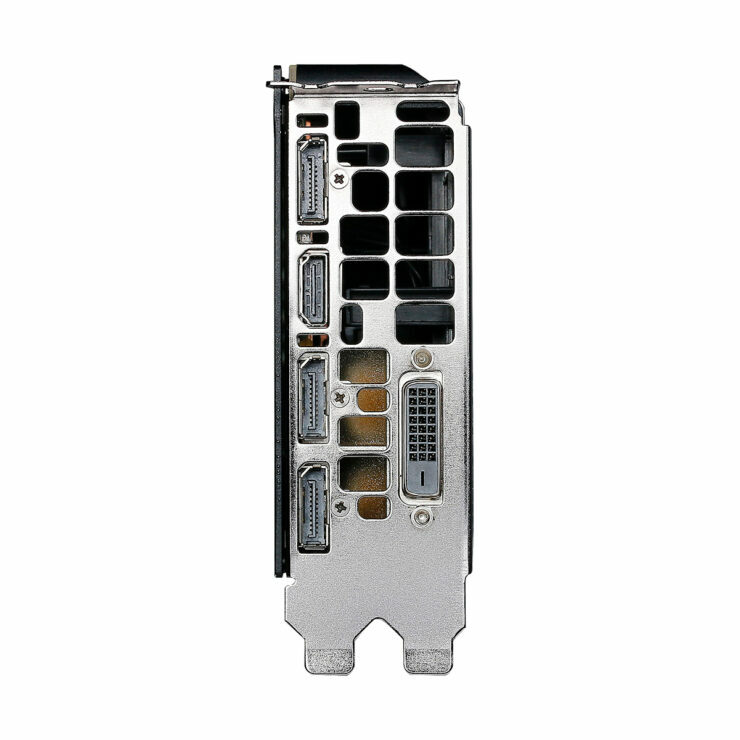 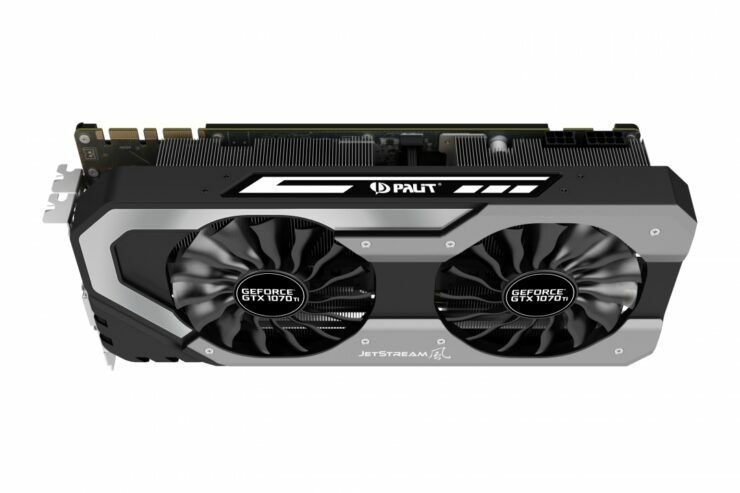 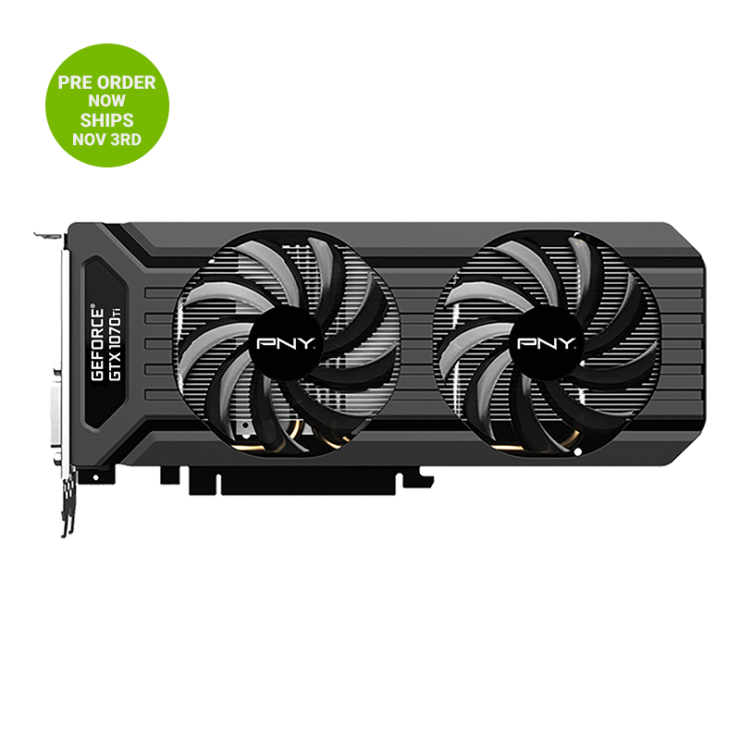 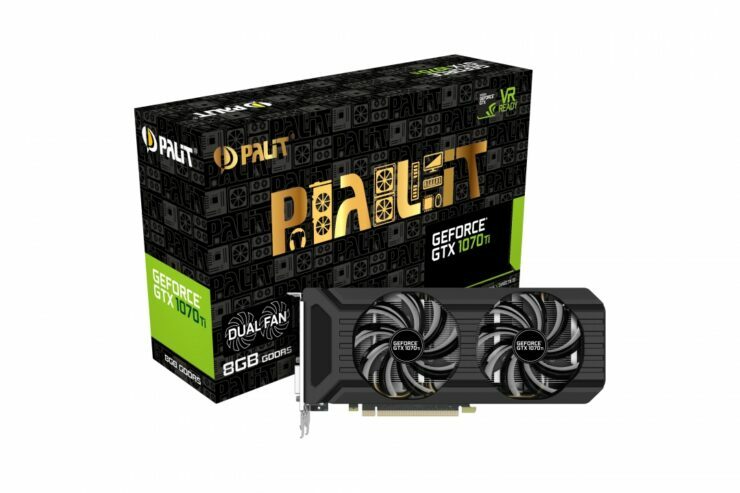 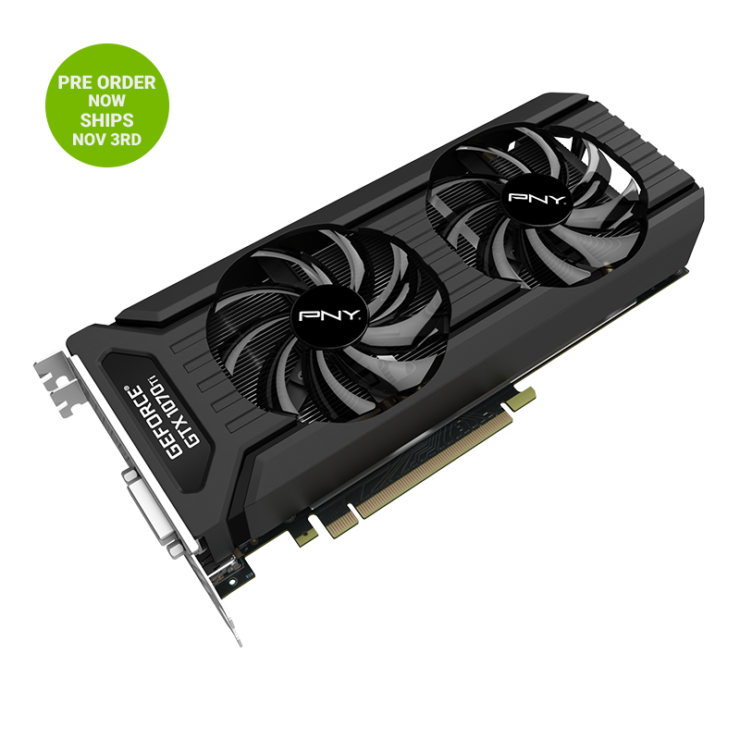 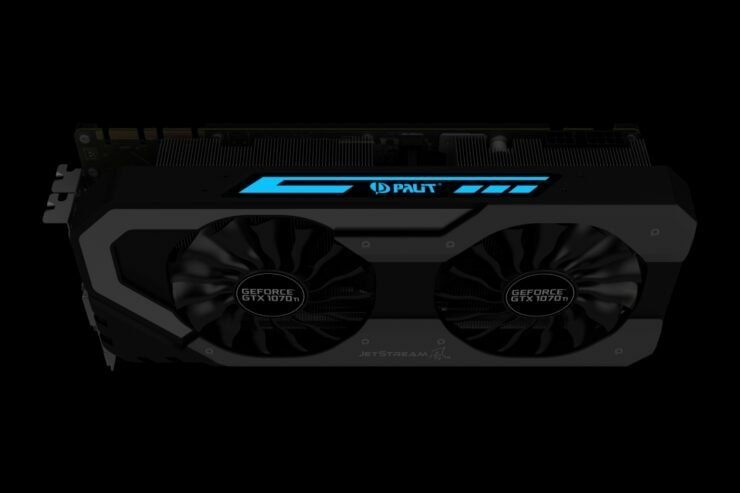 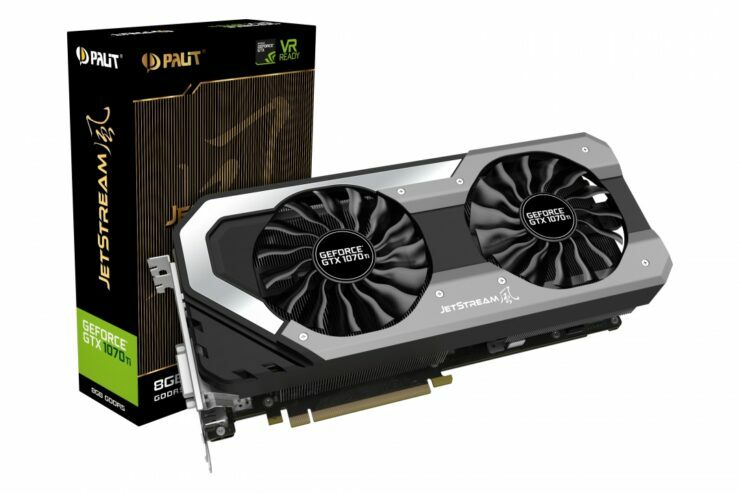 Palit is also offering two dual fan cooling designs for the GTX 1070 Ti. 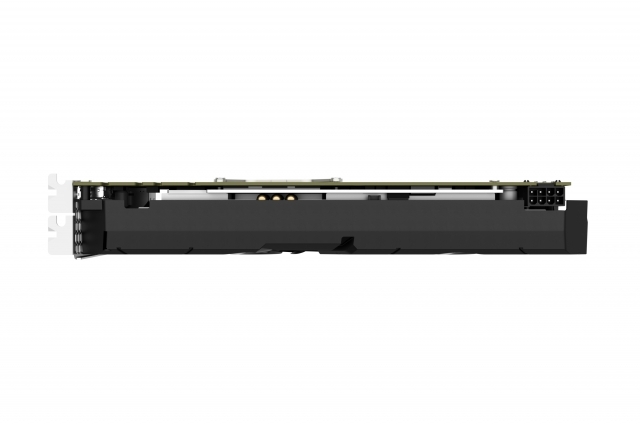 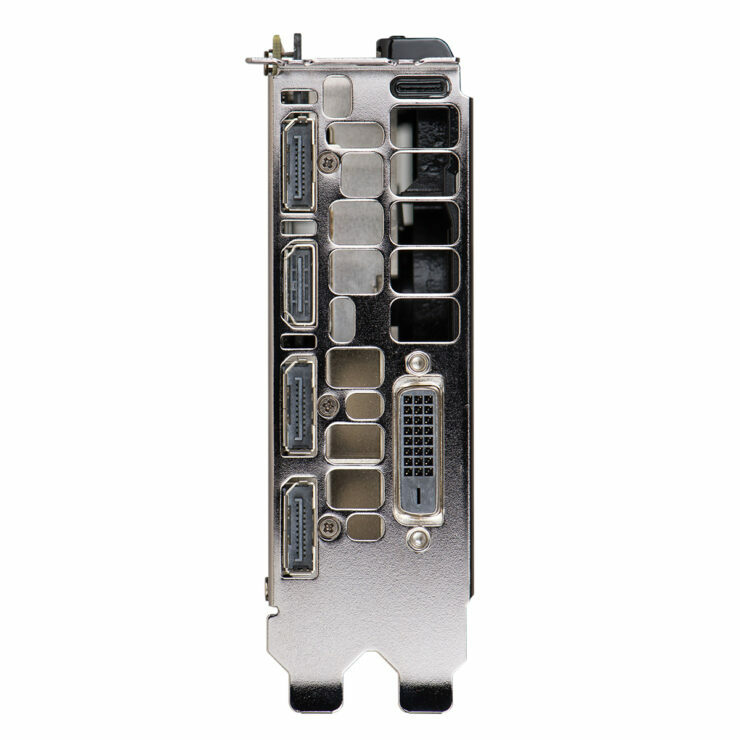 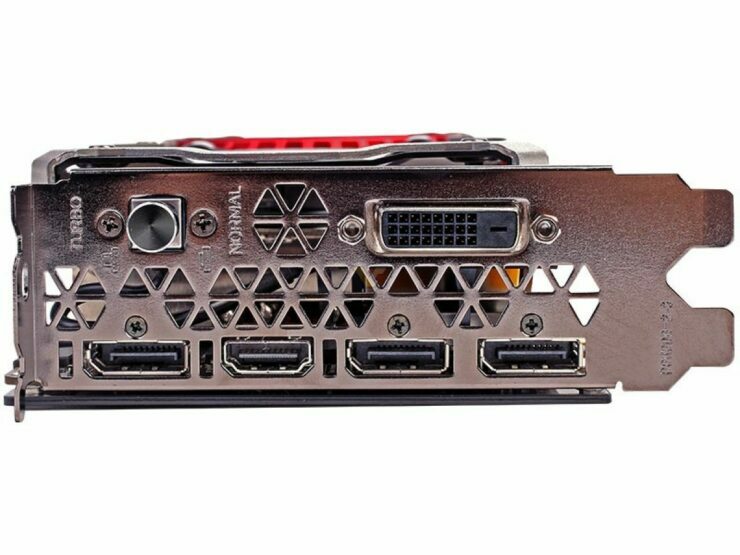 Their Dual card is very basic but the Jetstream with its bulky cooling and powerful PCB is going to be really interesting as it is also powered by a 8+6 pin connector configuration and has LED lighting support. 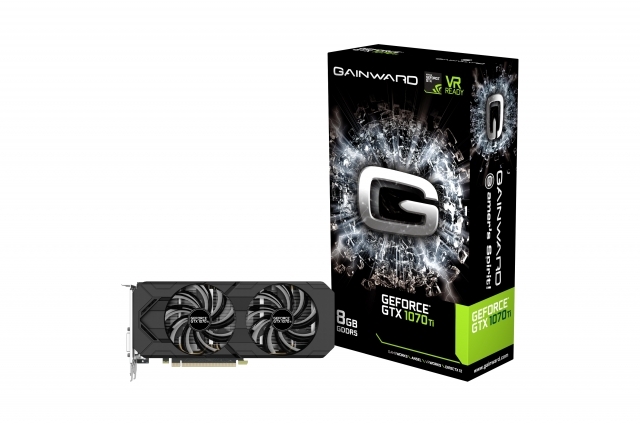 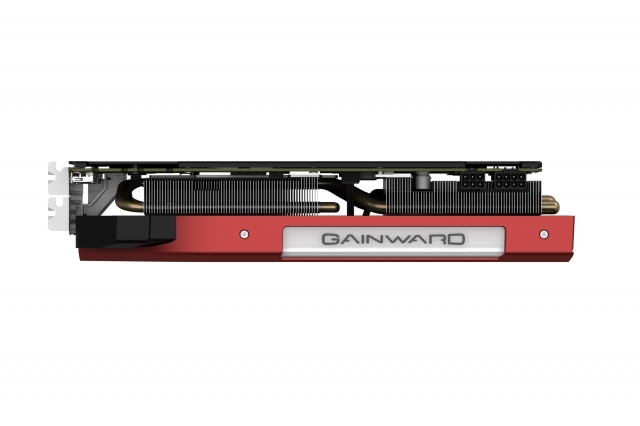 Just like Palit, Gainward is also offering two dual fan cooling designs for the GTX 1070 Ti. 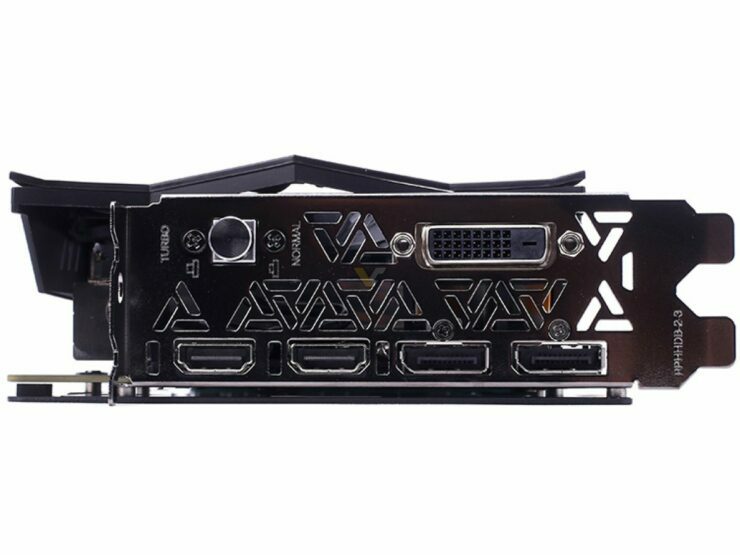 Their Dual card is very basic but the Phoenix with its bulky cooling and powerful PCB is going to be really interesting as it is also powered by a 8+6 pin connector configuration and has LED lighting support.